There are issues with keybinding in this mod. Andyb recommends opening chapter1.cfg in the cfg folder with notepad. 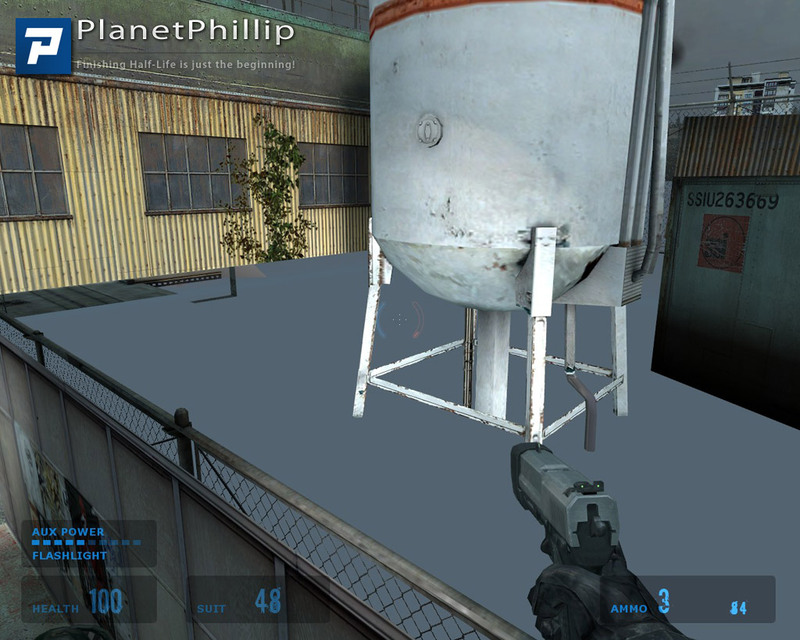 Delete everything in it and then add map sp_c14_1. I recommend keeping a copy of the original file, just in case something goes wrong. 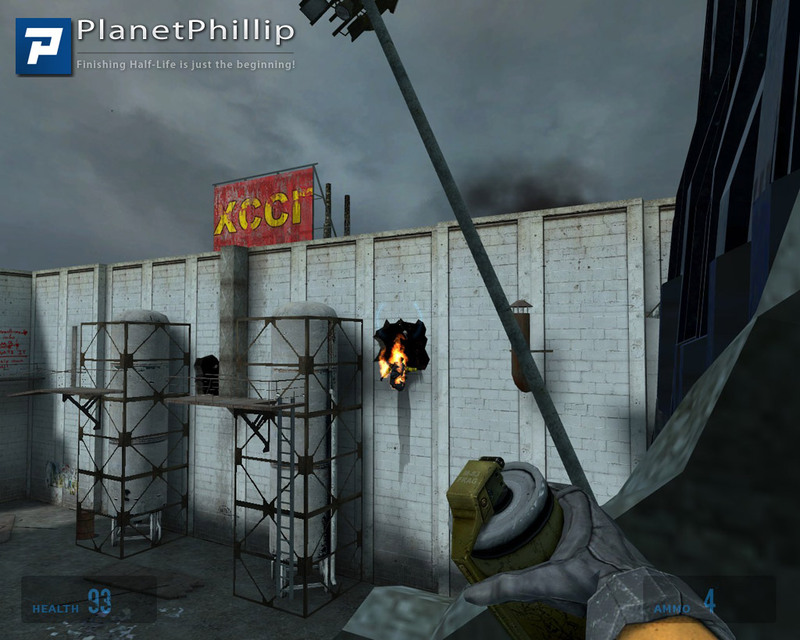 Copy the Half-Life 2 Calamity folder into your SourceMods folder. 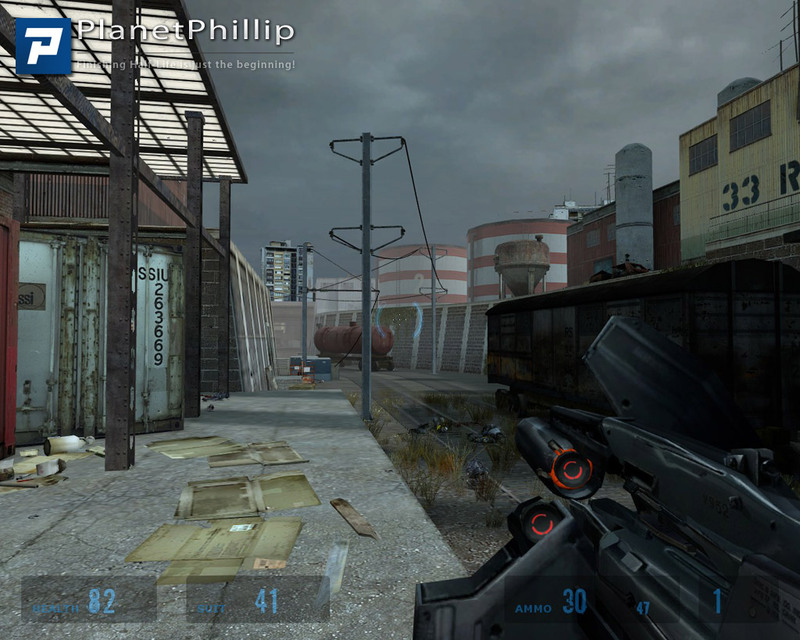 Half-Life 2 Calamity should now be listed in your Library tab. Before you continue reading, start downloading the mod. The review below includes spoilers, consider yourself warned. First, the trouble with the keybindings. They would stick and I had to manually edit them via the chapter1.cfg. Even then they didn’t stick and a combination of manual editing and using the normal system got them working. If you have trouble, and I suspect you will, keep at it because it’s worth it. It’s a shame this wasn’t picked up by the 11 play testers. Which brings me onto the next issues; the first few levels. These clearly weren’t play tested properly because I kept being able to reach areas that I wasn’t supposed to. I didn’t fall through the maps or anything but I could see empty areas and kept hitting invisible walls. Ultimately it didn’t detract too much from the mod but it did put me in a negative frame of mind to begin with. Image 41 show me standing on the train that I just started, hoping to get to the top and over the force field. All that happened was I got stuck and had to restart. Next the “damn” radio broadcasts! Firstly, the area they were in were very badly designed. Why? Because I just wandered away. That’s not really what the designer had in mind when he made those levels and I am sure the voice actor won’t be happy that I simply ignored them after the first 1 and a half speeches. The speeches themselves were a little boring and the voice acting could have been better, more importantly the volume was way to low. Onto the basic gameplay. 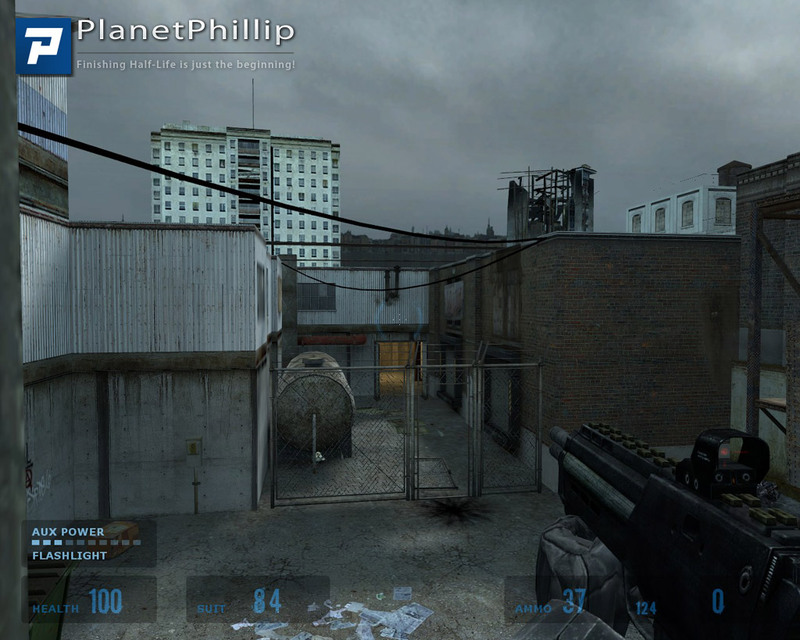 The author has lots of talent for level design but I feel that he needs to improve his gameplay design. 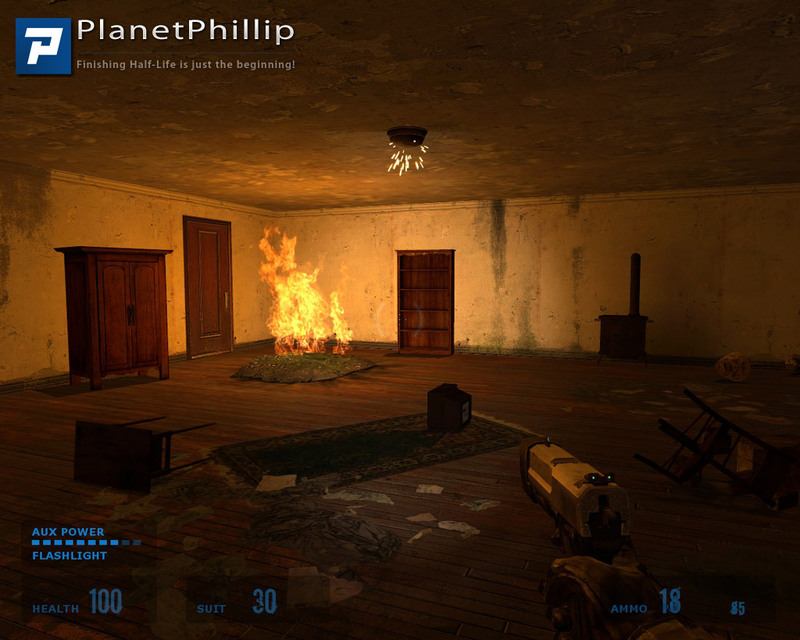 Too often I was greeted with exploding doors and small groups of enemies. This improved as the mod progressed and I was confronted with much more 3 dimensional attacks, although I still feel it was to “in your face”. It would be interesting to know the order he made the levels. The sniper attacks were excellent and he clearly has some skill when creating these situations. 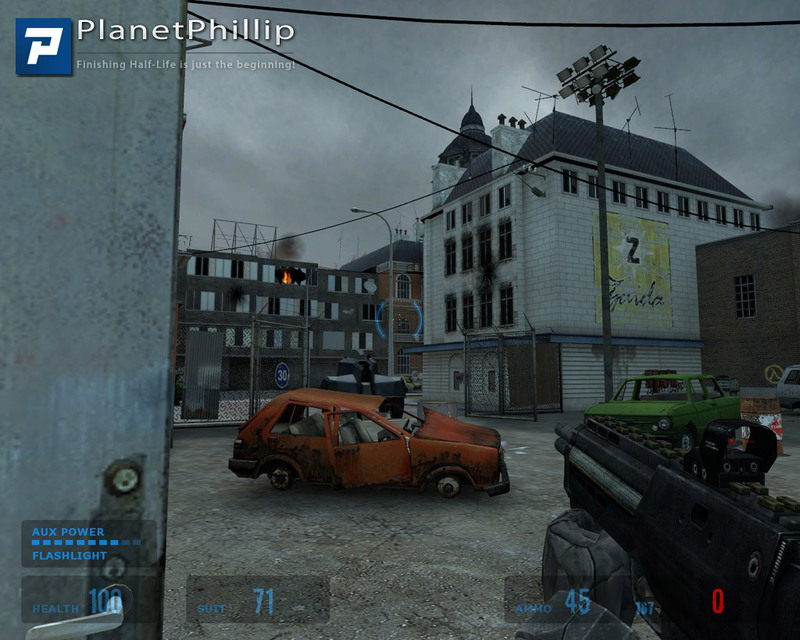 Visually the mod is beautiful, and there are plenty of various environments to keep players interested. I particularly enjoyed the Combine section and other mappers could learn a lot from these designs. 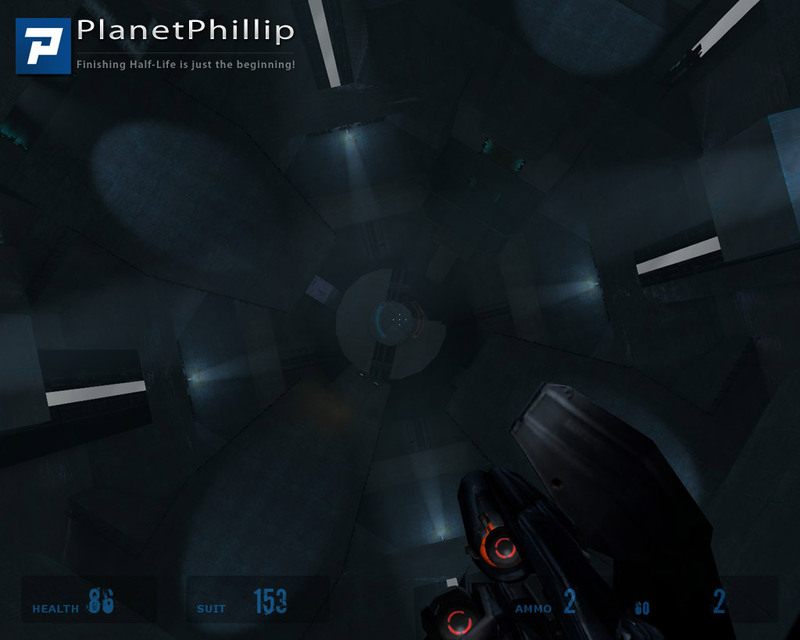 However, I hated the spinning area, where the player must descend. The final battle was pretty good but again it was too one dimensional. Without doubt a fantastic mod but I just wish the little issue had been dealt with before it was released. Beside the keybinding issues which nearly forced me to give up and wait for a patch, they aren’t really a problem but as I have said before with something this good it’s worth getting it perfect. It’s unlikely that the mod has finished downloading in the time you have spent reading this, but if it has great! Get playing. If not, then have your bathroom break now and get yourself ready for an interesting couple of hours. 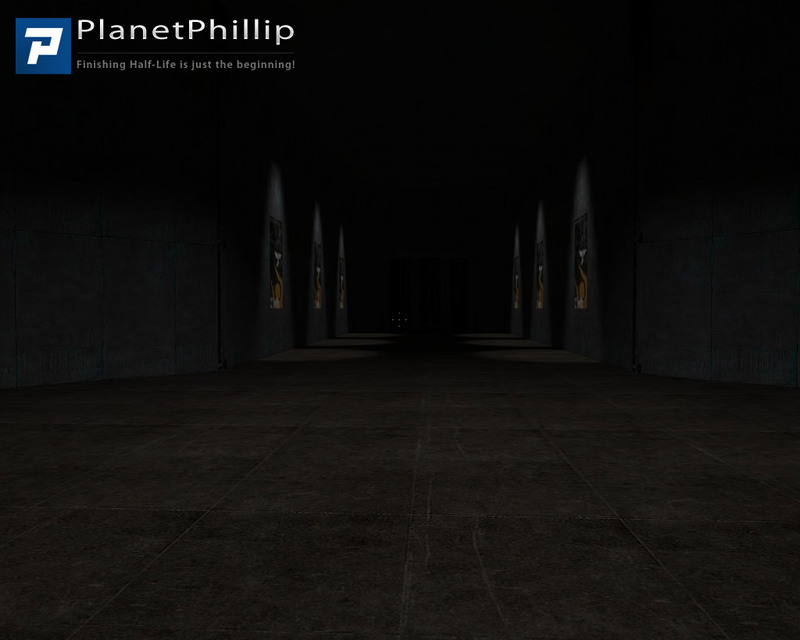 I’ll be adding at least one panoramic image tomorrow and maybe some videos very soon. OK, I got the download going and finished, however now that I’ve read this, I wonder if I should just delete it and wait until its out of “beta” form and/or someone replaces the download with a “fixed” version? That’s because I have no idea what this keybinding issue is and what I’m supposed to do about it. Its almost guaranteed I would ruin the whole thing if I tried! Wow, just wow. The keybinding problem seemed to go away after the fighting started. Very frustrating until then but keep at it, it is worth it. PP found a few niggles and is quite right but they do not spoil the game. Very, very hard ending and the lead in is a little over complex but doable. I’m off to play it again. Interesting mod. Doesn’t do anything new but what it does is very impressive. Design wise it’s quite good but nothing really memorable and nothing that stands out. 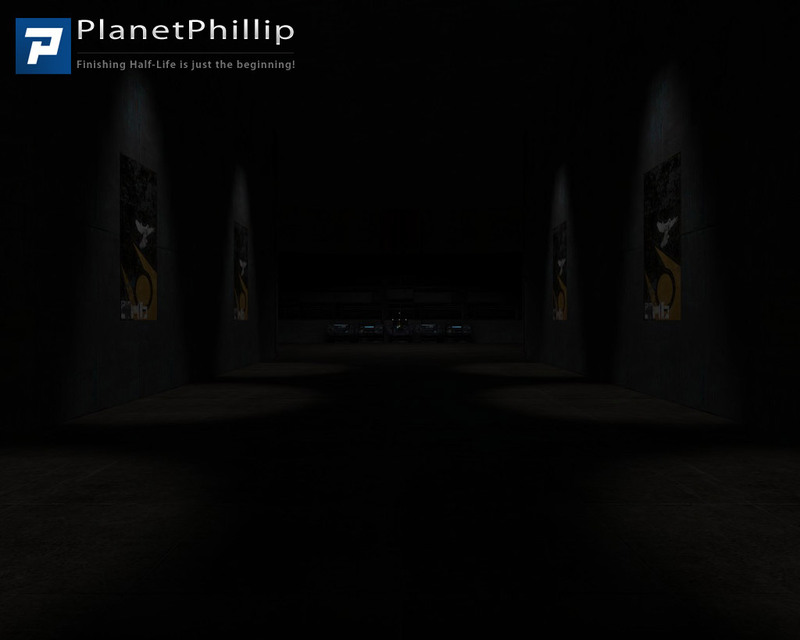 I agree with Phillip about the radios, or more specifically the voice acting and writing. The only one I really listened to were the first one near the beginning, but that was because you had to before the CP’s blew up the door. Too much cussing and in general very tedious listening to. The voice actor sounded bored and like he’s was reading off a piece of paper. The final battle was ridiculous and not very fun, even though I didn’t have any difficulties with it. Apart from those issues mentioned I think it was worth the time. Definitely try this one out. Can someone explain the keybinding problem ? Calamity is a superb work of art that keeps getting better and better as you go along. 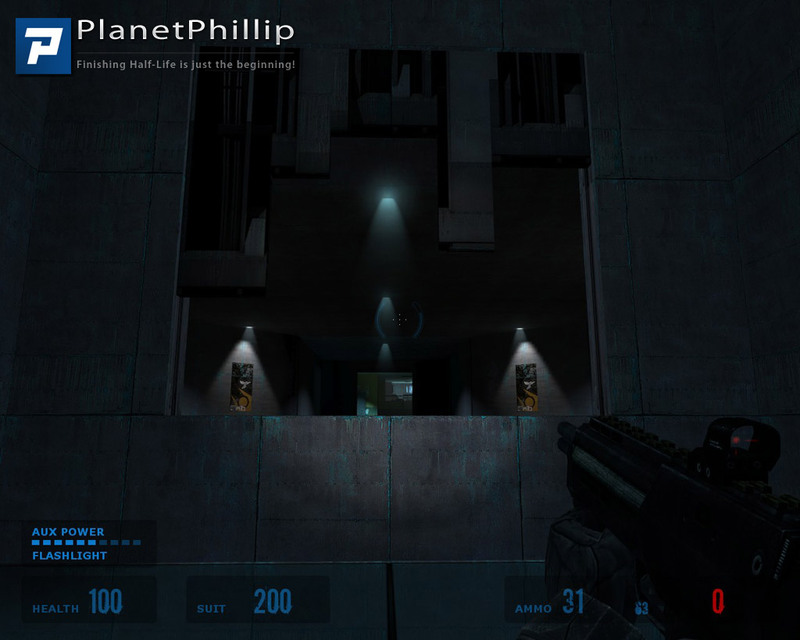 Spas12 did a nice job adding those little creative touches to the maps to make the levels fun the whole way through. Download this one right away, grab urself a Coke, and enjoy! Woo, I like this one. And a big thanks to Andybfor the cfg tip. Really outstanding. 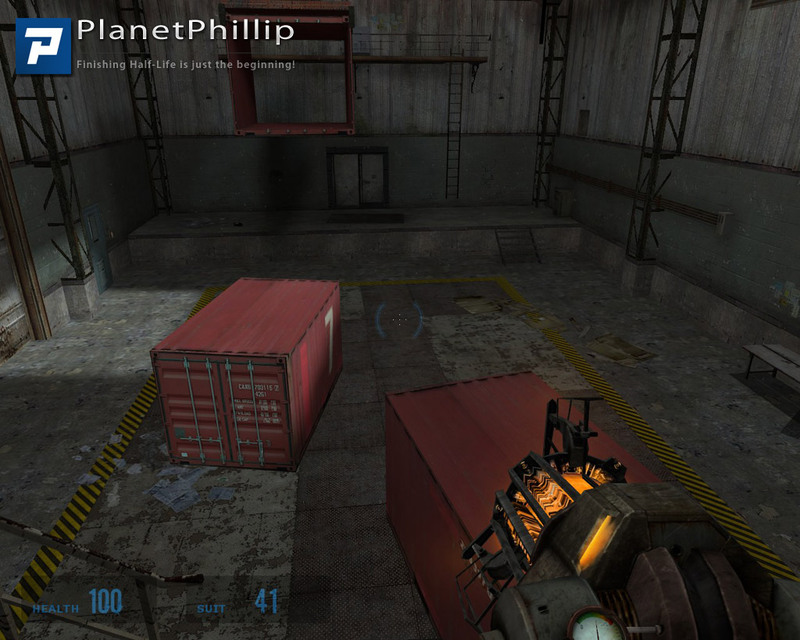 I like the multiple routes to an objective, and the sense of humour – the dangling shipping container, fooling you into thinking that’s the way to get across the gap (it had me scratching my head for a while!) is a good example. 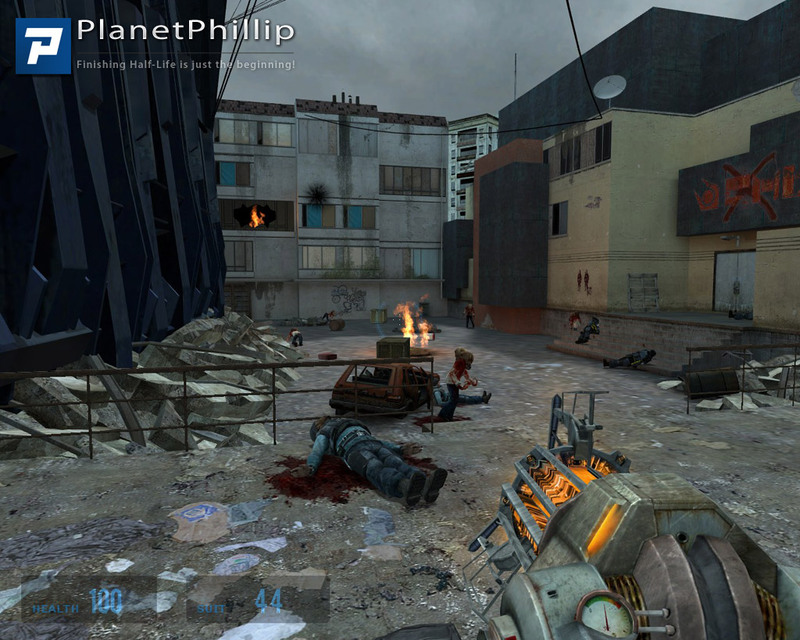 There’s a good mix of environments, enemies are sometimes very challenging but never overwhelmingly so, you get a sense of achievement at the end….Valve should give this guy a job! (But don’t let him control the music – the only negative for me. I turned it down to just audible.) Overall a superb piece of work. I’ve updated the screenshots section to number everything correctly. I have also added a new section to highlight the Keybinding issue. Real good! I did have the problem mentioned at the first part of this but I did the trick Andy posted as well as noclipped through it and it was smoorth sailing the rest of the way. I’m not sure if Andyb’s fix worked for me as I could not get the file to open so I just replaced it with the Map sp_c14_1 file. There was a part that got dark and stayed that way so I just noclipped through and it was all good after that.. This was a lot of fun but nothing really new, but it had a good storyline and great graphics. Now, it dosen’t look like Bioshock which I’m playing now, but for a mod it dosen’t get much better then this as far as the graphics. I had all the video settings all the way up and had no problem at all. I do use the free software called Game Booster to shut down other programs and if your having any problems you may want to try it out. This mod is really a welcome sight after so many short or not so good ones that have been coming through lately. This one took alot of work and is a good one to play. I do have to agree with an earlier poster that complained of the language as well as the voice acting in general. It was bad and the cussing is way over the top. Not needed at all. Why people think that swearing is cool and makes it more tough and manily is beyond me. A good game dosen’t need bad language to make it. The voice in this sounded too German and almost Nazi-like. Way too demanding and rough. Cussing is ok at times but not in every sentence. Other than that it was well worth downloading. I really enjoyed this mod! There were only a few issues with weird triggers that never happened but nothing that detracted from game play. I agree with others that there were too many swears in the dialogue, seemed like they were swearing just for the sake of it! Not very effective and detracted from the interesting storyline they were using. The ending was a little abrupt and choppy and even though I could see what they were trying to do it didn’t come off that way. Played in hard mode it was pretty well balanced but would be way too easy in lower difficulties. 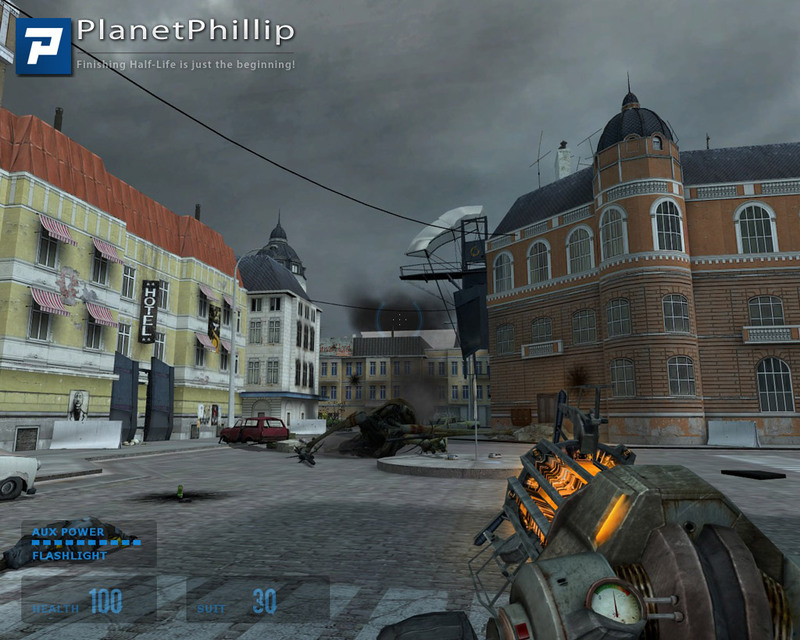 I really loved the map layout and the mood music was good when it triggered properly. 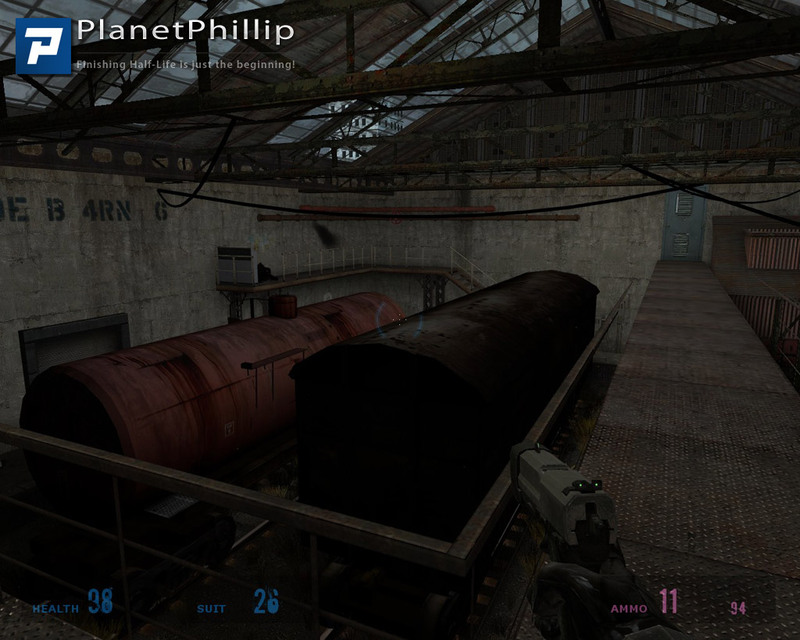 This map is well worth playing! If you are looking for perfection, just wait until the next mod we have to pay for, the rest of us will enjoy the communities great work! 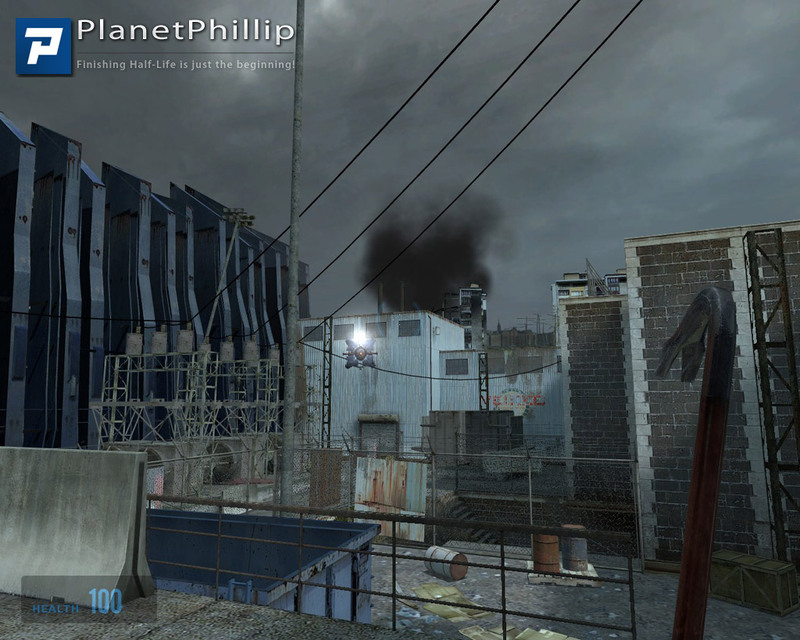 While this map pack is clearly in the group of best and more polished releases, I didn’t find it fantastic, and ended up cheating or even skipping areas with noclip from as early as the second map. I will divide my input into visual and gameplay (even though both are closely related). 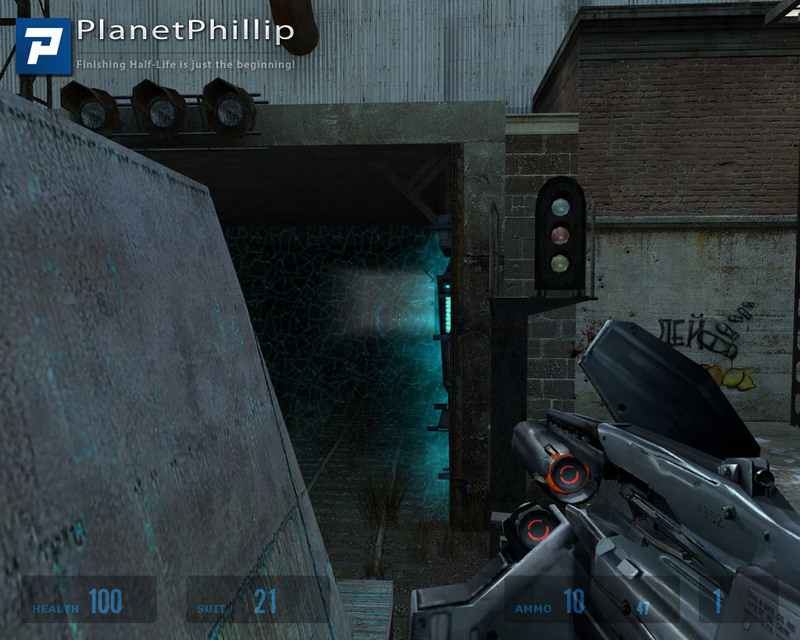 -Visually, this mod is consistently good looking most of the time. Little texture errors aside (like the custom boxes with horribly stretched textures), the lighting and material choices are usually very good, or at least they try to be. Whether some of the areas with excesive light contrast help or hinder gameplay, it’s clear he author knows how to use the different assets needed to give personality and function to different areas. I found that there was too much darkness in some places, and it just made things confusing to navigate, let alone fight. 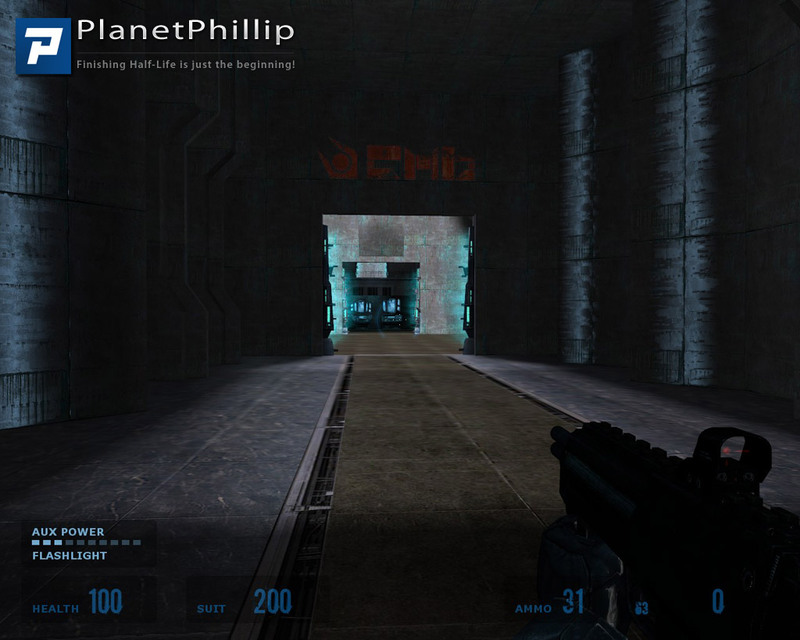 In terms of themes, I have to admit I wasn’t too thrilled in any particular area of the mod until the last map, and even there the impressive Combine areas suffered from the boring symmetry effect. As some have mentioned above me, there was little or anything new in terms of themes here. Most industrial and residential areas depicted in the mod looked just like all the ones you’ve seen before in other maps. -Now to gameplay. First, if I was given all the screenshots Phillip took and asked to put them in the correct playing order, I wouldn’t do a good job. 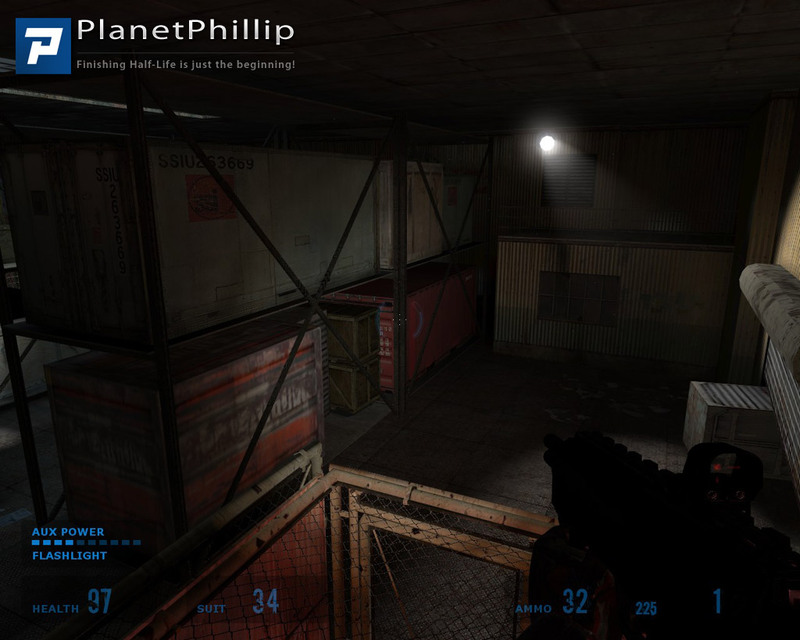 You could switch one warehouse room for another in a later map, and it would make a difference at all. To me this isn’t a sign of great level design. It goes hand in hand with the lack of real story, characters or objectives to motivate the player more than “clear the room of enemies and move on to the next”. 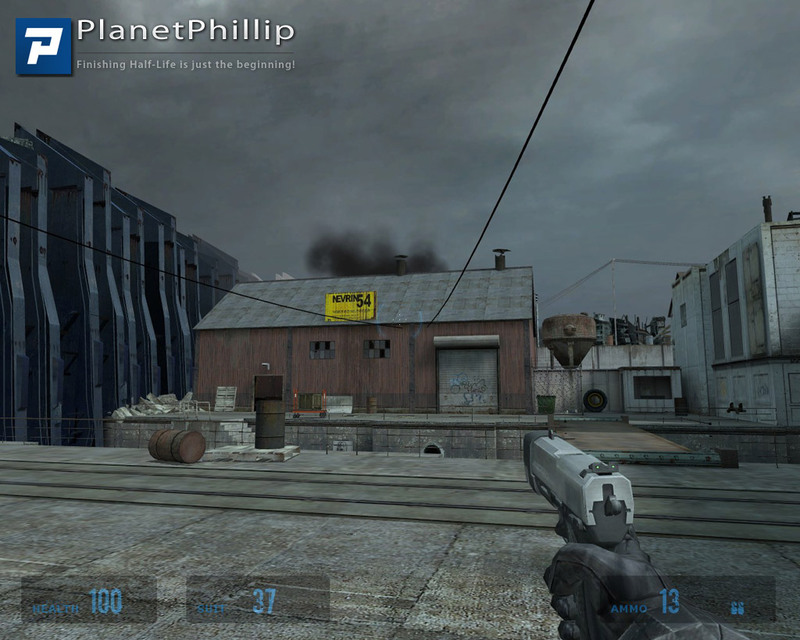 I found the combat in this map extremely hard even in medium difficulty. I could blame it on my skills, but some situations seemed excesive for any average player, and reminded me of Coastline to Atmosphere and Strider Mountain in that sense. 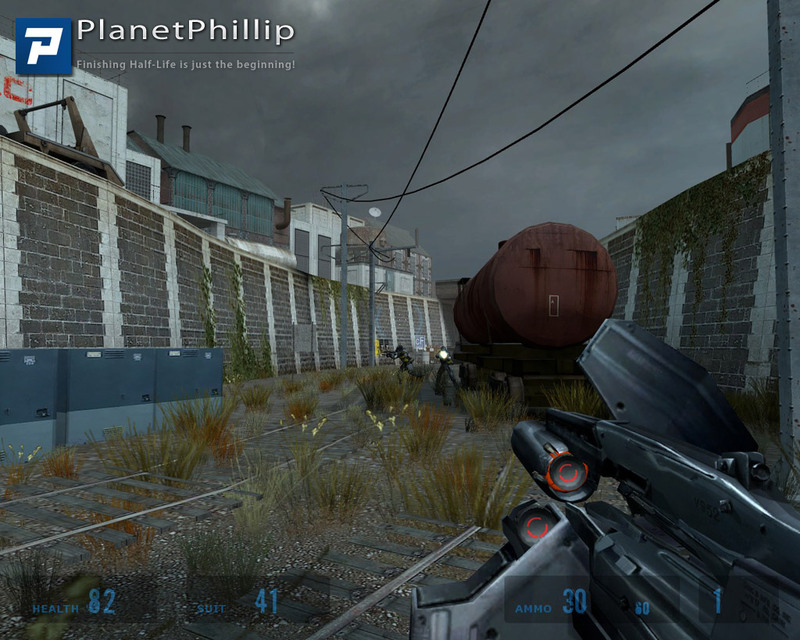 To give an example, there was a part where you had to fight a gunship and soldiers appeared from both edges of the railtrack you were moving through. I though that was insane and far from enjoyable. 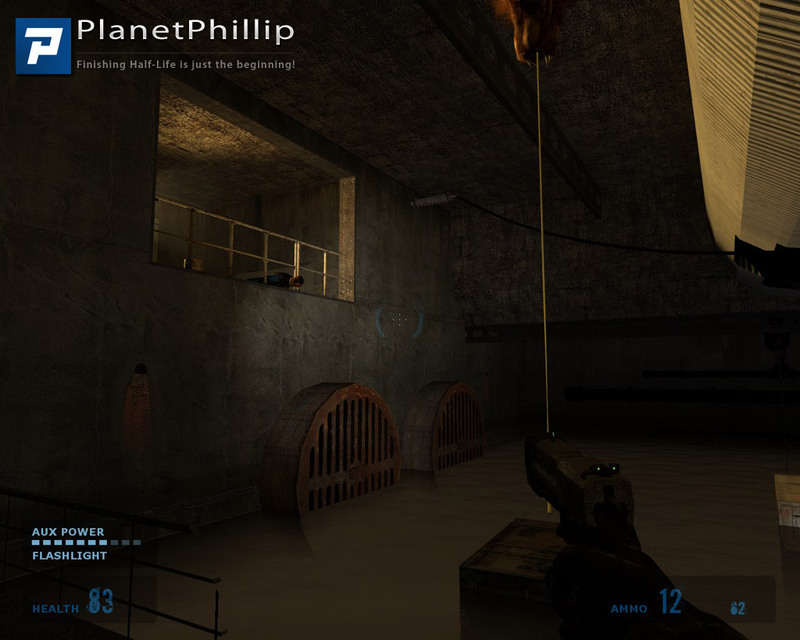 It might be because I’m not really looking for a challenge when playing HL2 maps. 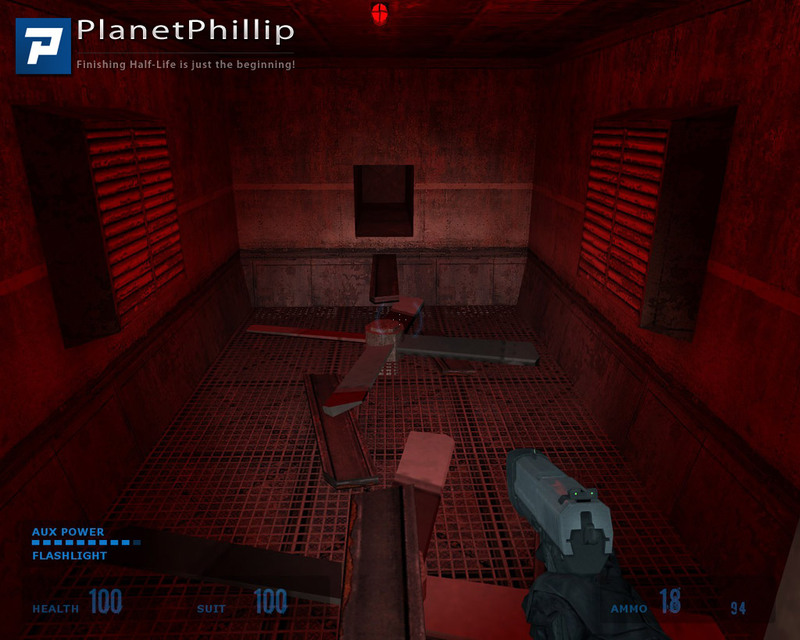 At times, I felt like I was playing Doom or Serious Sam, when being dumped in a room that was designed just to be flooded with manhacks some seconds later. 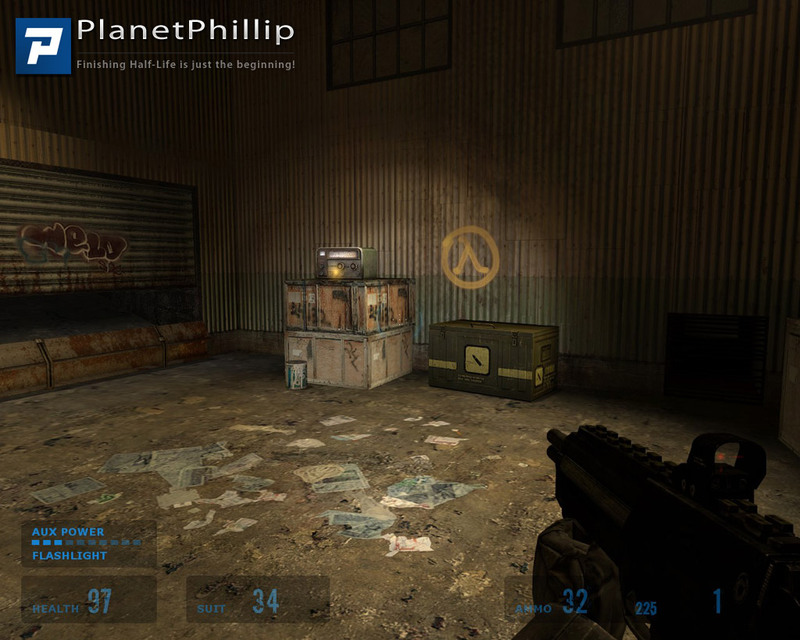 This approach of areas serving a gameplay concept instead of gameplay moulded into the actual logical and plausible areas is something I’m not a fan of, at least not if we’re talking about Half-life. Now there were a lot of positive things here, and it’s clear the author took a lot of time and care to make these maps look good and play nice. 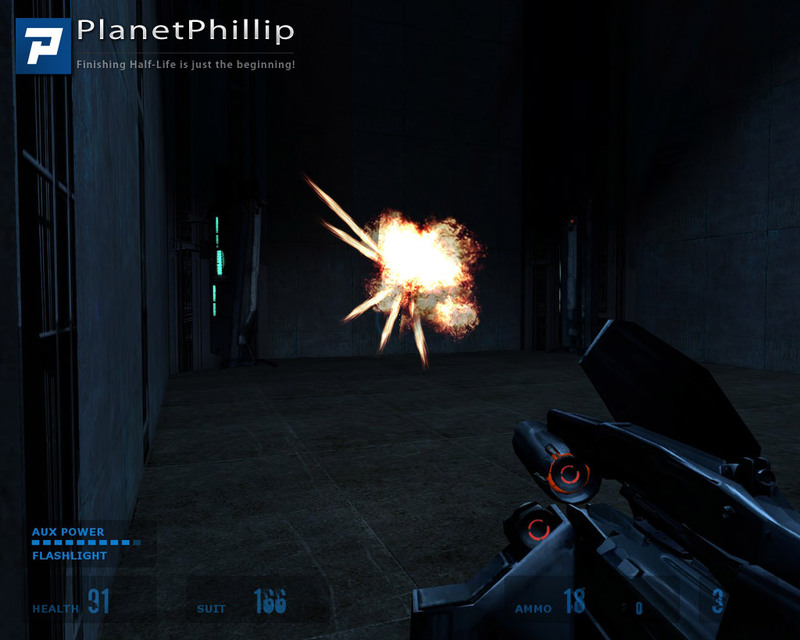 Little touches like entering a dark room and having a soldier shoot a barrel so it ignited the others next to it so the explosions reached the player was simple yet genius. 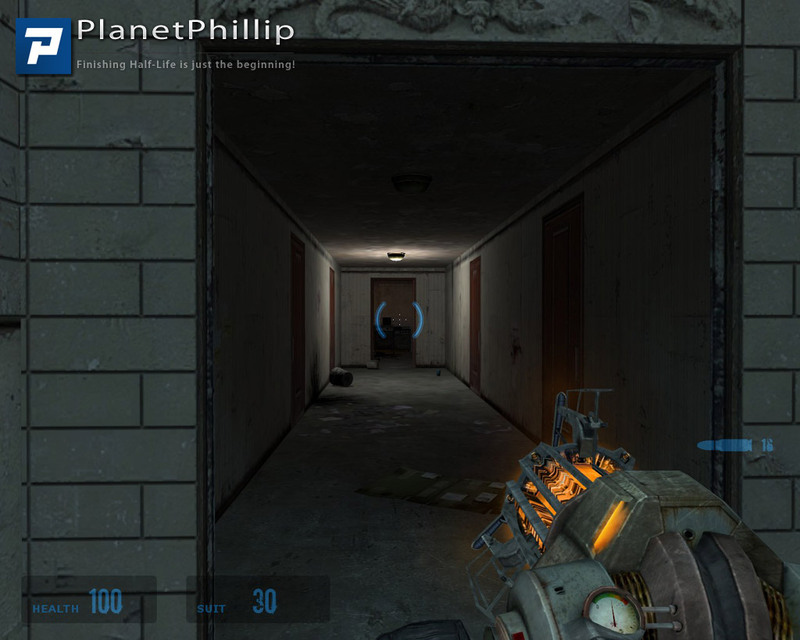 The rules of HL2 are respected throughout the maps (doors that can be opened have handles, vent shafts get you to places when you seem to be stuck etc) and that’s something you have to thank. As other reviewers said, some areas like the big broken concrete building with the snipers were very nice and the perfect example of why this map pack is a step above most of the others we see day after day. My Play it Later recommendation is explained by my own likes and dislikes. 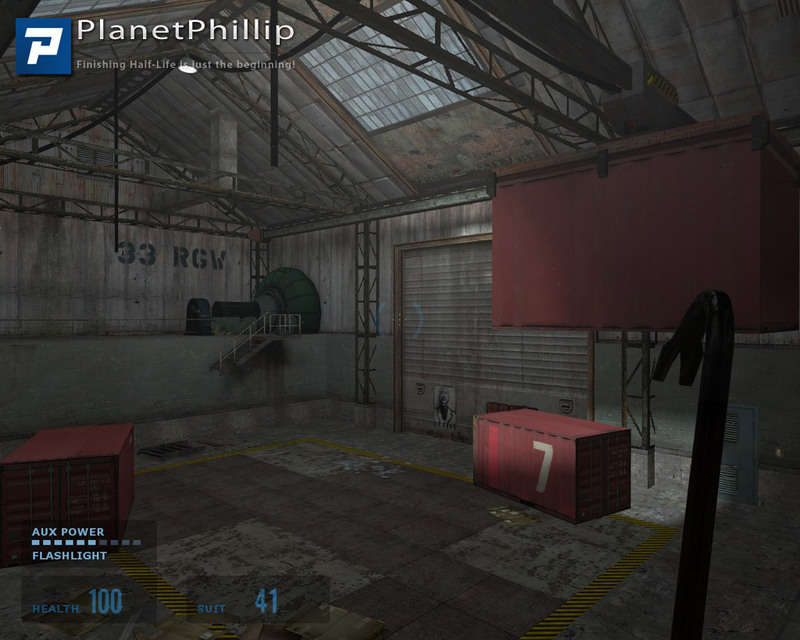 I din’t even play the last maps and just noclipped to see what was there, because for me combat in HL2 has gotten very tiresome over the years, specially if it’s as constant and intense as what you have here. 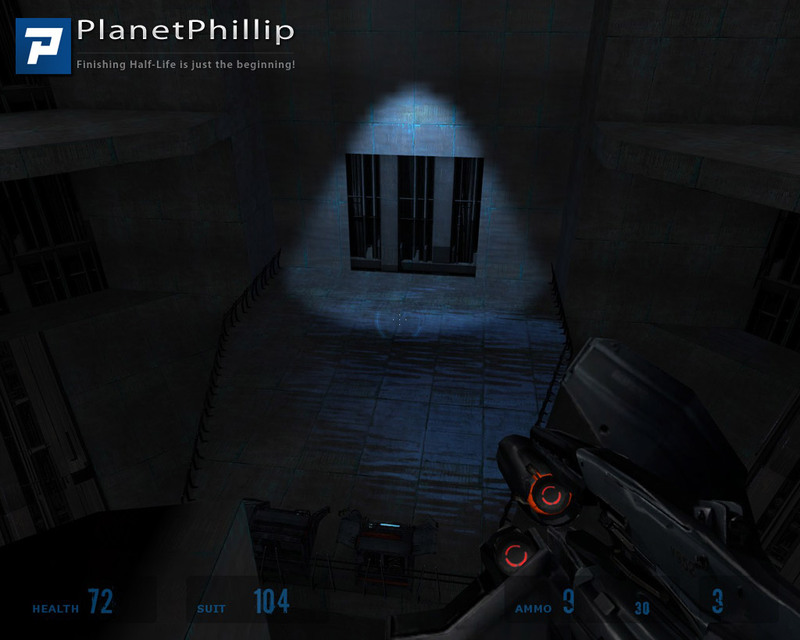 I think with a more gradual approach (such as what you find in Powerstation 17), it would’ve been much more enjoyable. If you really like to play maps that have more meaning and overall better direction and sense of progress, this shouldn’t make you stop what you’re doing to play it. Regardless, download it as soon as you’ve finished reading this! Great Mod Bobby. It is good to see a mod of this size and complexity come along every now and again. I can appreciate how much work you have put into it. Just wondering long long you have been working on it and do you do similar work as a paying job. If you don’t I am sure you would be of interest to professional game makers. Thanks to Andyb for the hint on changing the cfg file. I had no lockups or probs while playing. I thought it was fun to play and altho some areas were pretty hard, it’s always fun to work them out if they need application of grey matter. I did noclip over the turning blades and electrified water as jumping challenges are for me a frustration more than fun. 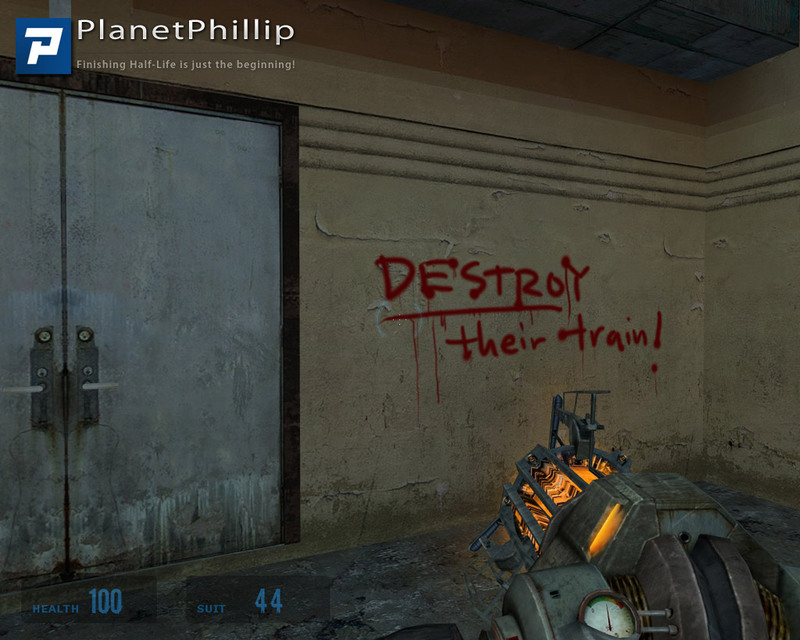 Really nice graphics and detailed sets made the environment realistic and I liked the red spray painted hints. It always helps to know you are on the right track and a hint of whats to come prepares the player. 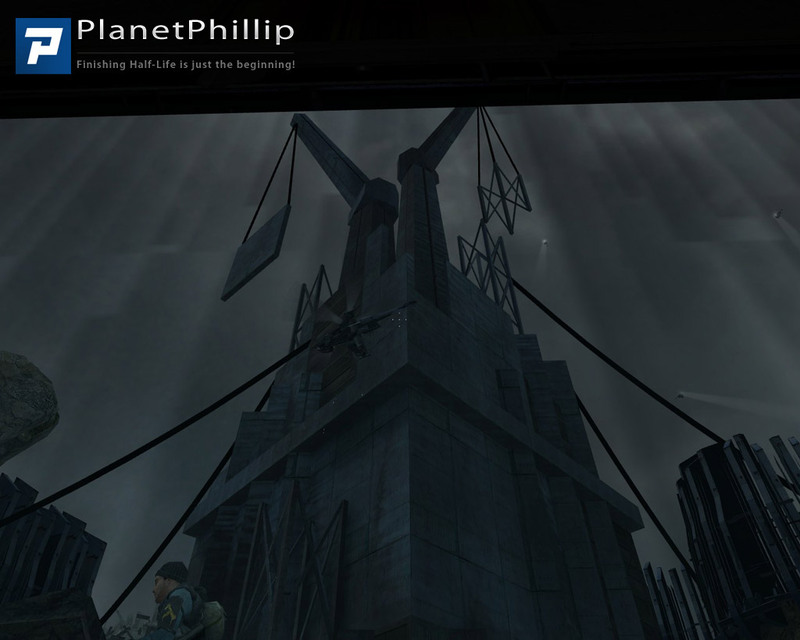 The ending was hard and I liked the way you have woven your story into the main Half Life continuum. I also found there was just enough health and ammo around if you take the time to check out the side areas along the way. 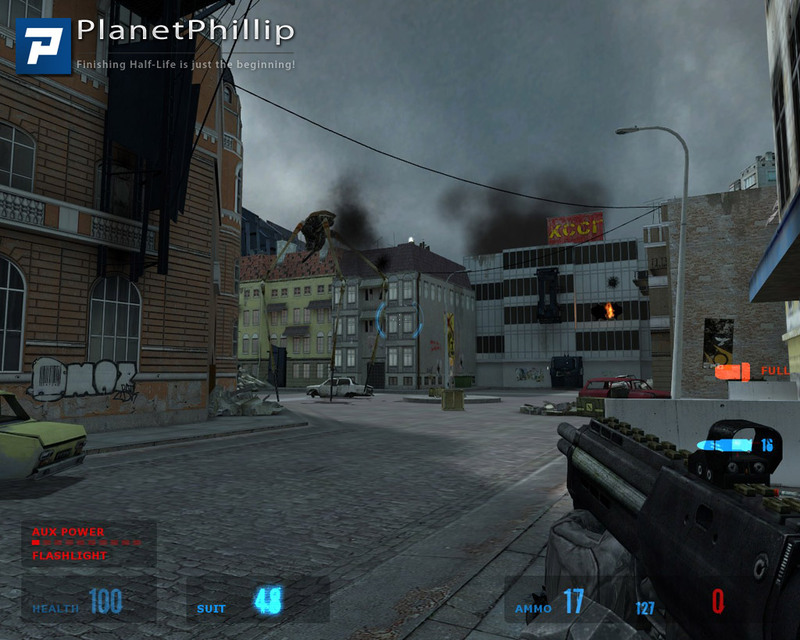 The music added to the atmosphere and added excitement to the staged battles. All in all Calamity was fun to play and I will defiantly have another go after I get my assignments done today.Your mod could be seen as a benchmark for others to compare their own against. Once again, well done. Keep up the good work. I hope you continue to create mods for HL cos I will definitely line up to play them. With mods like Citizen 2 and Strider Mountain looming on the horizon, it has been hard to discover new material that satisfies my need for a good “fix” of gaming, like this one does. Excellent concept and effort in the puzzle and battle scheme. 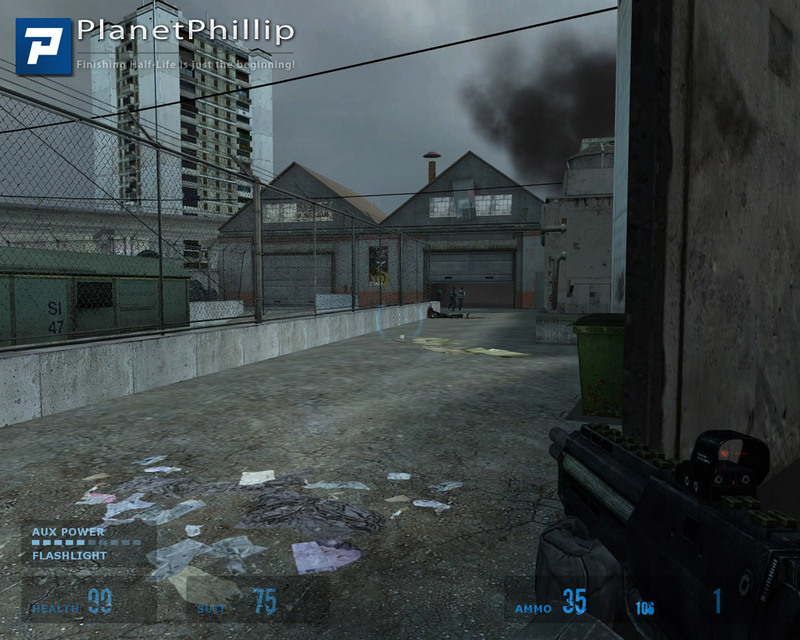 The author successfully creates battle scenarios which have the feeling of “not having been done quite that way before”, out of characters which, – through no fault of the author, – have finite scripting we have all seen before and are familiar with, and should be only too easy to become predictable as a result, but is not. The battles were always challenging, yet well thought-out. The last battle is a bit intense, but the damage/health ratio seems to balance out as planned, if you keep busy…. hmm… no… make that “real busy”. 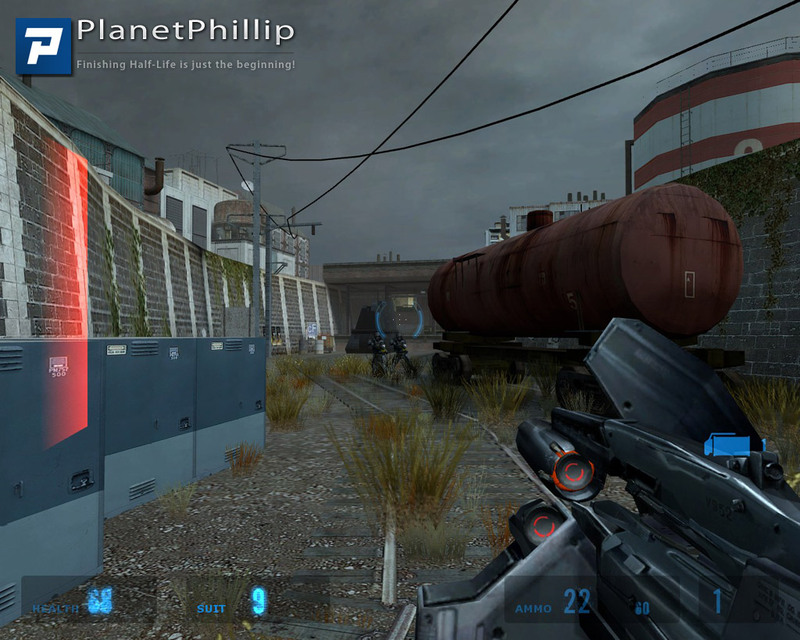 Finally, another good add-on while we wait for the release of Black Mesa Source and Strider Mountain. Not being able to change the Options at the beginning was a bit of a pain, but after the first combat it was configurable. All this one needs is a good story about why Gordie is running around fighting the combine and destroying their stuff. Anyway, a lot of hard work went into this one, and I hope the author makes more like it. With all the gargage maps we’ve seen lately, this one is a breath of fresh air. Good mod, I like this. Hmm.. I’m quite surprised at the comments here. I thought the mod was good but not that good. 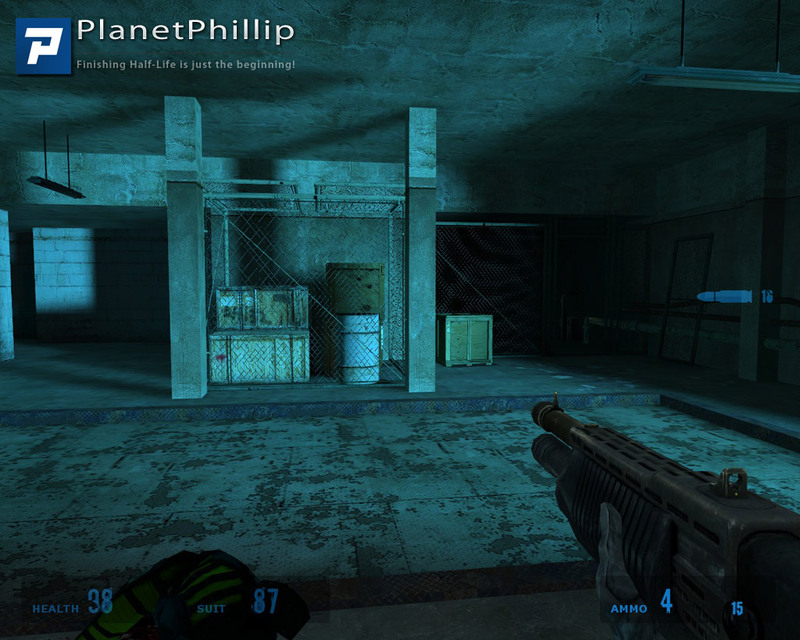 It was very combat-heavy and could have done with a few more quiet breaks for things like puzzles. By the end I was experiencing extreme battle fatigue. This was made worse by the fact that health became quite sparse later on in the mod. The sniper section left me with about 20 HP and there was no health for quite some time afterwards. 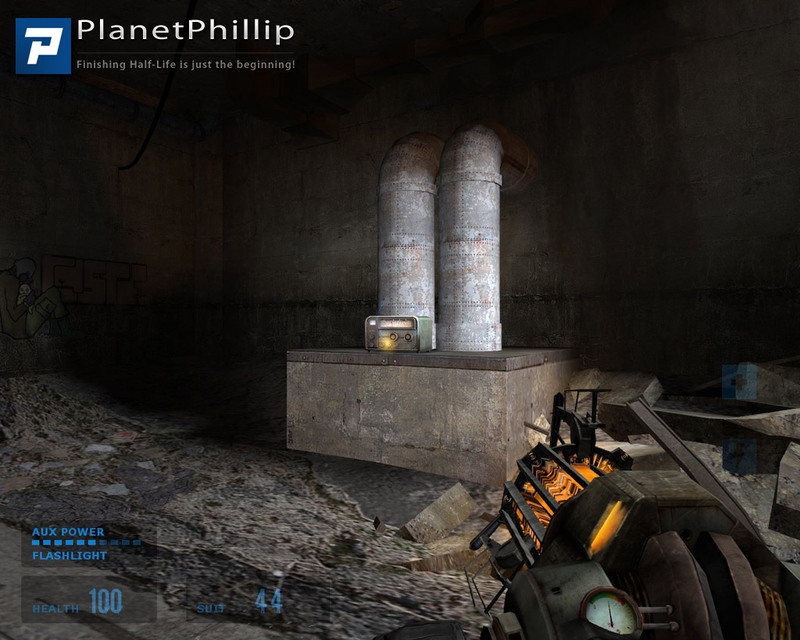 The environments were pretty good for the most part (functionally more so that aesthetically) but lacked the great ‘vistas” that Valve are so good at. Not many areas had me walking into them and thinking “wow, look at that view!”. 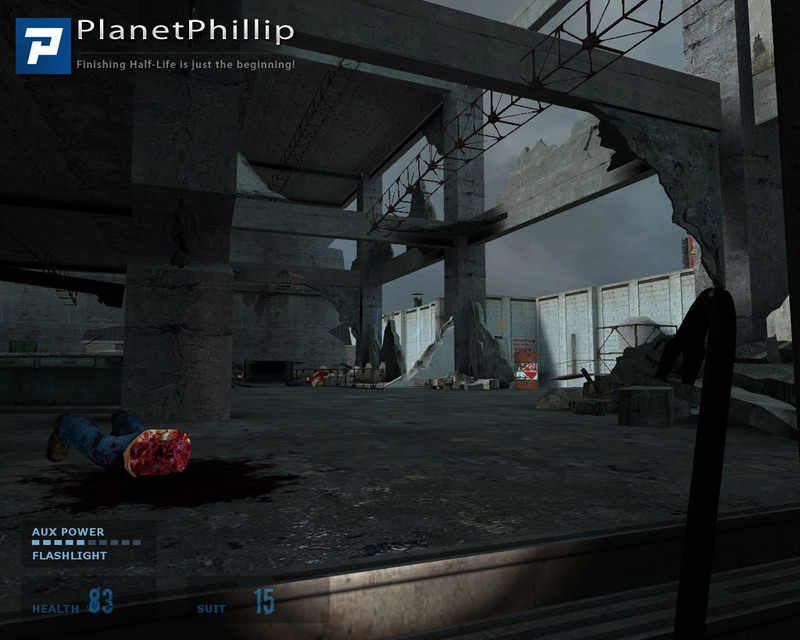 The Citadel-esque areas were really boring for me; large open areas with a steady stream of soldiers just got dull fast. 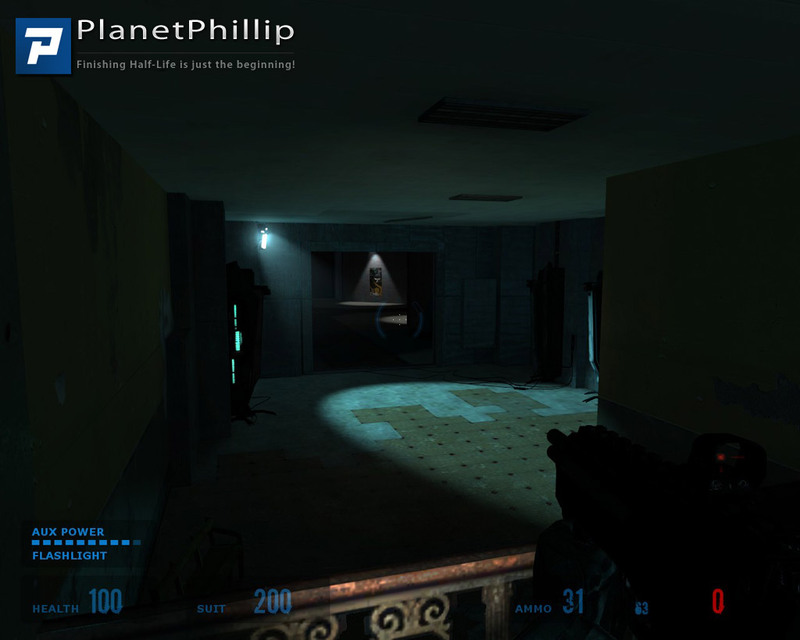 As Kasperg said, the overbearing symmetry was not only boring but also untrue to the kind of Combine architecture seen in HL2, which was significantly asymmetrical. The ending was the weakest point of the mod. I had no idea what I was doing, and just continued to shoot at a constant line of soldiers. I found that the safest tactic was to move to one side behind the columns, so I couldn’t see what was going on with the big energy thing and had no chance to pause for breath because soldiers respawned as quickly as I could kill them. The little scene afterwards was a great touch though, but then again I’m sure I read somewhere that the Citadel was teleported in and not manually constructed. As Phillip said, the radio broadcasts were a bore. I listened to 2, then realised they told me nothing I didn’t already know (just a recount of the Combine invasion) in a rather uninteresting way. With all these flaws, I don’t know how anyone could give it higher than Play It Later. That said, it’s a fairly solid mod of a decent length. It does a lot of things right, but also a lot of things wrong. An action packed mod with fairly hard encounters which need a bit of replying to get through with some health still intact. The end encounter was far too hard for me, just could not see how one could hold-out for 3 minutes against the ever re-spawning Combine, but I guess there are those that did, for me it was a case of God mode. I though the layout and set design was good without breaking any new grounds, whilst the content and detail therein gave the impression of a class mod that had demanded considerable amount of time, effort and planning. 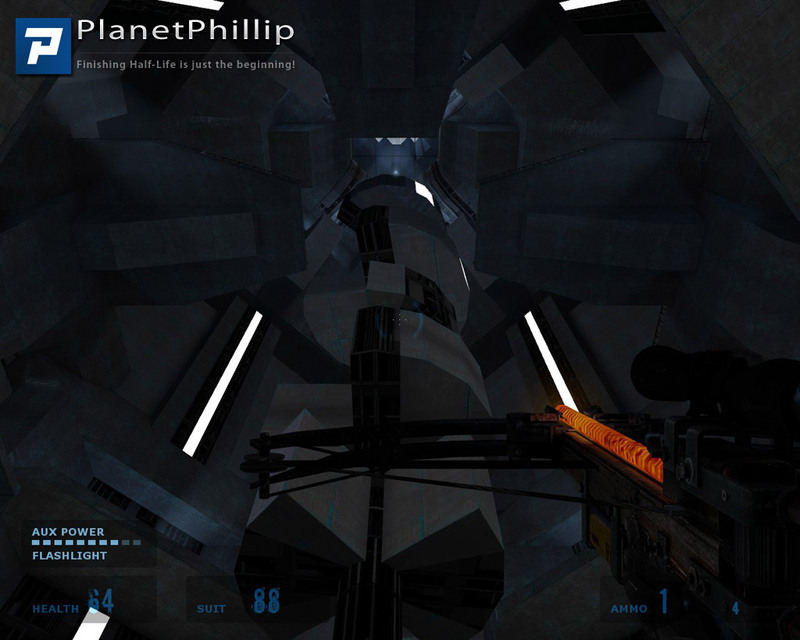 Overall the mod has an admirable balance of gameplay, mixing the tough combat with jumps and puzzles plus lots to see. I would imagine that there are those that will be critical of the lack of new content, the absence of a unique story and who will comment; that it’s has all been done and seen before, with even the puzzles and jumping routines very similar to what has been seen in countless mods. 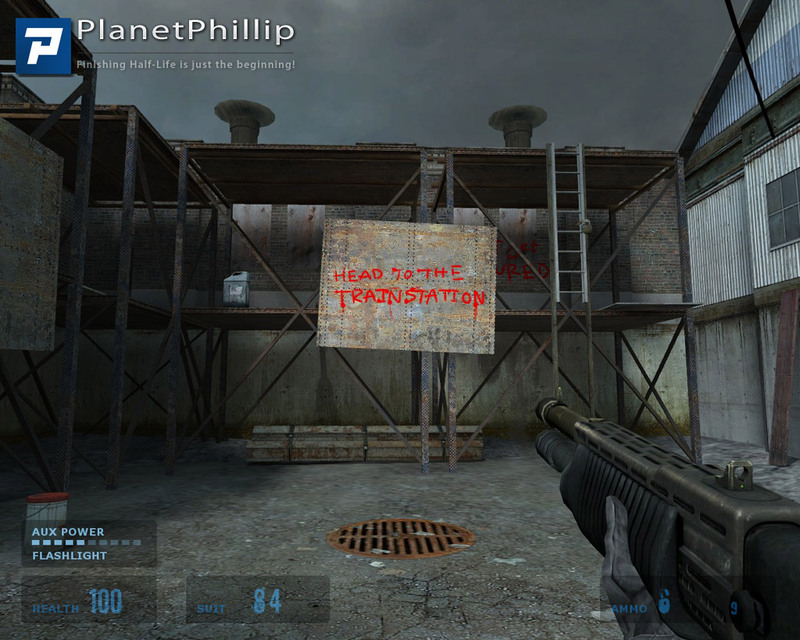 Although such comments will have some foundation this nevertheless is a very playable mod, and if like me you still enjoy the familiar HL2 format then there is plenty here to challenge the best of players. 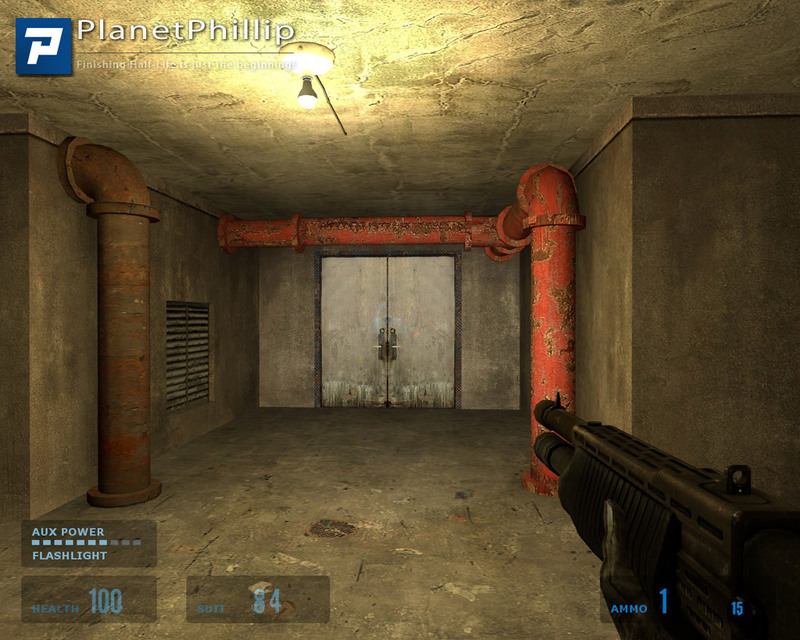 I don’t want to say the early stages are routine or boring, but rather I am an experienced HL2 gamer and instinctively knew where to go, what doors to open, et cetera. I only had a couple delays where an entirely new method was required, and even then it didn’t take too long to figure out. But the ending was awesome! AWESOME! Once I finally figured out the “Big Jump” (:wink:) I had to pat myself on the back once again. I might also note that this is one of the few mods I did not use a walkthrough, probably because it might not even be available yet. But I hope people play it without any walkthrough even when or if it becomes available. I don’t think we are really meant to listen to the radio announcer. That would mean you have to stop moving, which I never do unless absolutely necessary. But I might listen at a subsequent sitting. Spas12 deserves Big Props for this mod. Dude, you have a brilliant future ahead of you if you only do a little better each time. 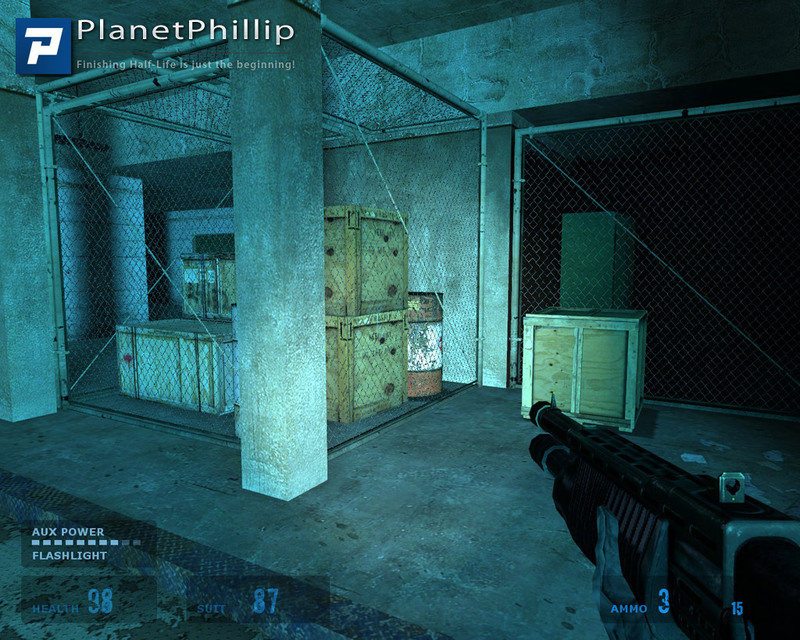 I admit I didn’t completely finish this mod … I got into the citadel – esque areas so I think it was pretty near the end. But I ended up getting trapped and nothing seemed to happen, and I couldn’t find a way out. I thought that, in general, this mod is very good. The presentation is excellent all around, and although some parts are very hard, I mostly didn’t think that the combat felt stupid, or that too many enemies were used at once. There were a couple of exceptions to this in the citadel area. But all of the city areas were really well done. After getting to the Citadel the gameplay broke down quite a lot, although I did enjoy looking around I appreciate what some people have said about symmetry, but I really quite liked the style of the place, personally. The puzzles were fun too, and although a couple of them frustrated me for awhile, I ended up feeling dumb when I found what I had missed. So, no complaints here. I’m keeping it short because I’m really tired now. But I really recommend you play this. Top stuff. 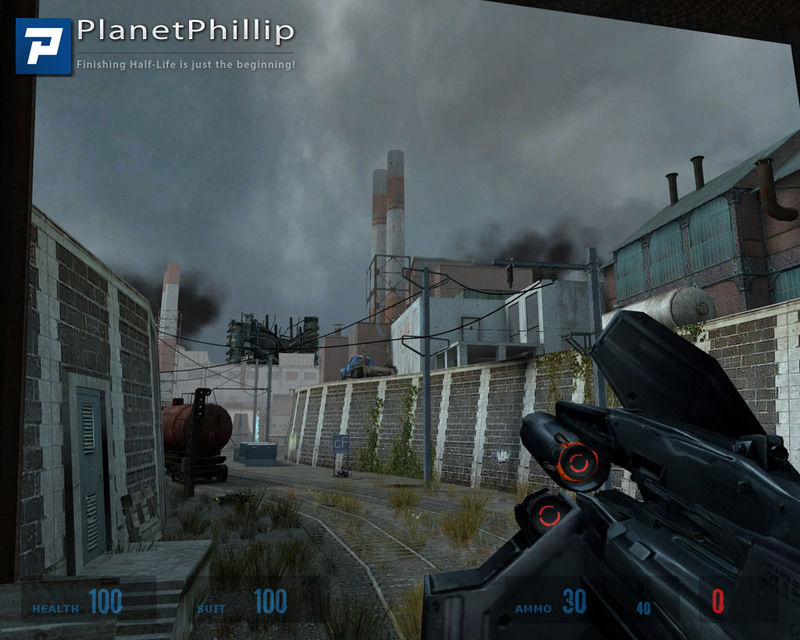 This mod was a LOT of fun, and is almost like a sampler of Half Life 2’s various environments. The voice acting was actually pretty good, but the gawd. damn. script. was. gawd. damn. terrible, gawd. damn. Play it, you’ll gawd damn love it! It does a few things wrong as the experienced mappers/modders have already mentioned, but having just completed it on “normal” I can honestly say I had a lot of fun. What more can a gamer reasonably ask for? Actually I think I was a little bit harsh in my rating. I think “Play It Later” would be more appropriate, but the faults I listed still stand. I would play it now but only rate it 4 stars… I still have a mixed feeling about this one. I nearly finished the game and I think its great. The sniper situations made me mad. Thnanks to the F6 button. Apart from that it can be played hard in most of the situations but it becomes much more difficult in the final phase. Overall an above average mod. 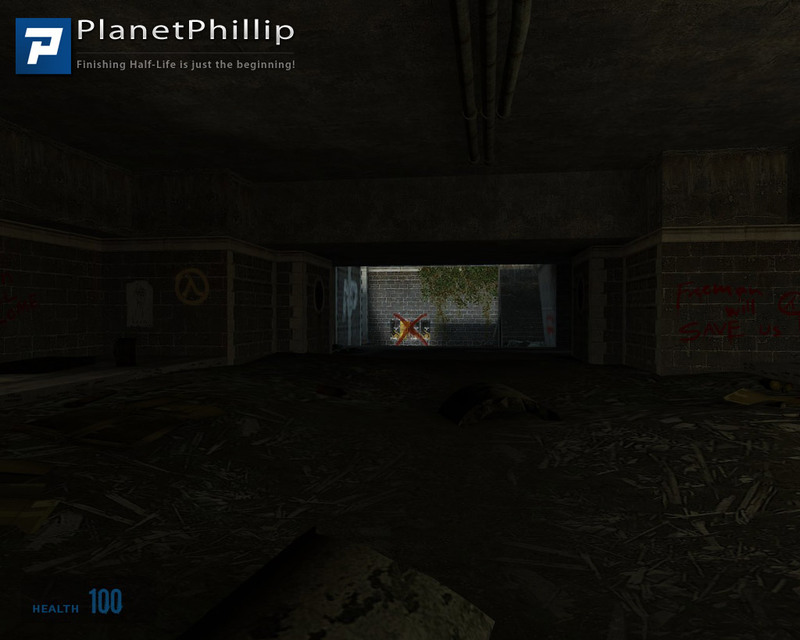 This mod is one of the best I have ever played – nice map layout and very well done combat. The keybinding issue was no real issue for me: I set the bindings before starting playing, then started the game and noticed that I couldn’t move, set the bindings again and that was it, no more issues. I really enjoyed the puzzles – really well done, difficult enough to give you a sense of satisfaction for completing them without being frustrating. I also liked the couple hidden areas with goodies. The fights build up gradually and are very well balanced – I also enjoyed the distribution of health and ammo – I consider it well done because it never felt like screaming “ok, here comes the big fight, be prepared”. The final fight is hard and requires a bit of thinking but it is very much doable – I play on normal difficulty and I finished it in the second try. 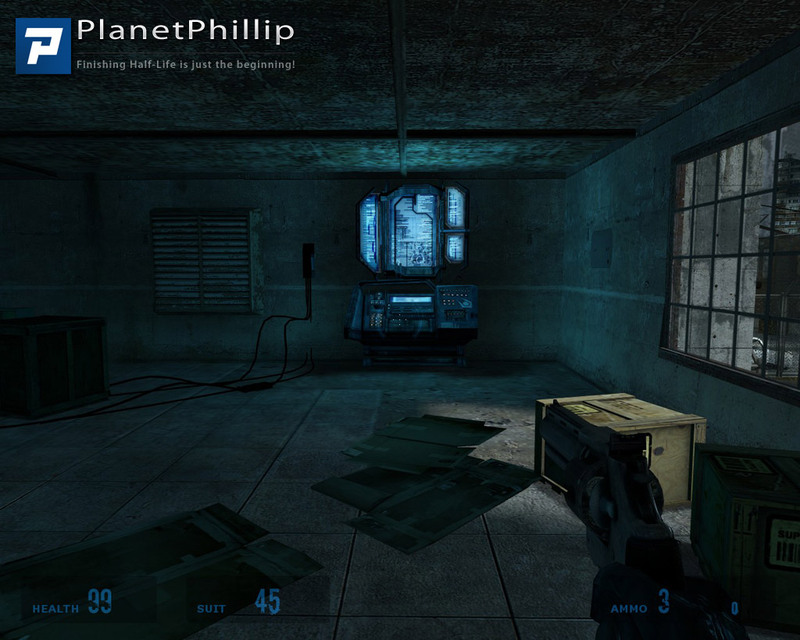 The radio transmissions are quite neat – I always stayed and listened to them and they felt well integrated in the gameplay. I also enjoyed the music – well suited to the fight. Overall it is a lot of fun – what makes it a very good mod in my opinion is the fact that everything seems very natural, the game progression flows seamlessly and you are left with a sense of achievement in the end. Many thanks to the creator and contributors! You’re right Kalkin. An author reads a book with a far more critical eye than your average consumer, and it’s no different for level designers. We do have a slightly skewed perception of things, but I feel these things are worth noting. Great fun and something for everyone. Appreciate the thought that went into number and positioning of combine and the slowly increasing difficulty paralleled by the increasing weapon power available. Also like to be made to think about how to get through a puzzle or battle. Played it on hard and took me about 2h to get to the final battle, BUT, the final battle was curiously unimaginative and not in tune with the rest. I didn’t bother to finish it and hence not a personal fave. 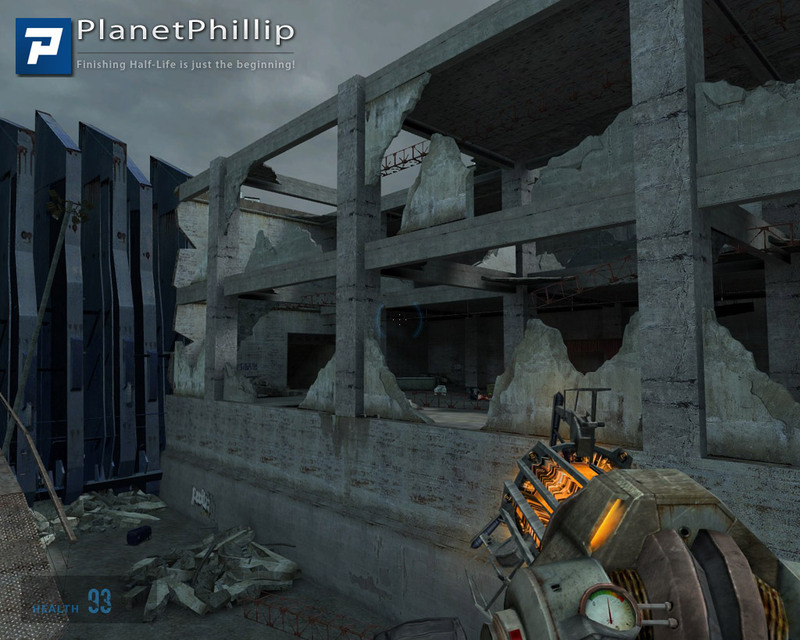 I really enjoyed playing this map pack because it used HL2 objects in different ways than I was used to. 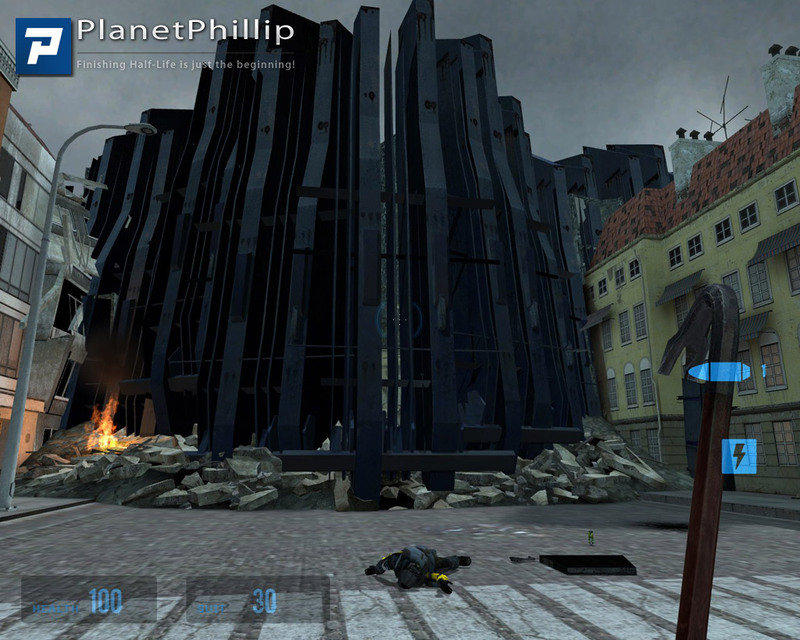 It wasn’t as polished as some other maps, but it was just as fun as the best of them. having said that, I ran into some issues with empty areas, visible texture edges and worst of all NO EXPLOSION ANIMATIONS. I can only imagine this is my problem because nobody else has mentioned it, but I would love to know if there’s something I can do about it. I have a powerful computer so I know there’s no hardware issue. I have to slow down others euphorie but I wasn’t that happy with the mod. I liked the first parts when you play in the city, there was a lot of nice detail and it played well, but as I advanced it got worse and worse. 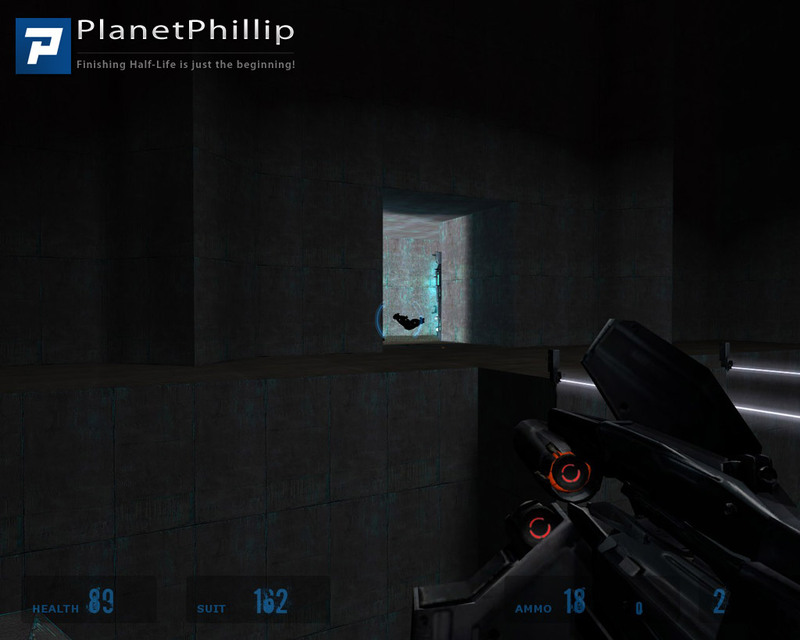 In the later parts you totally miss places to cover, you are just in big hallway with nothing in it and about 10 enemies attack you from the front. Like the lifts, you know that there are coming bad guys out, and now? Where should you take cover? I ended up just standing in front of the door and shooting one of those energy balls in the elevator as soon as the doors opened. 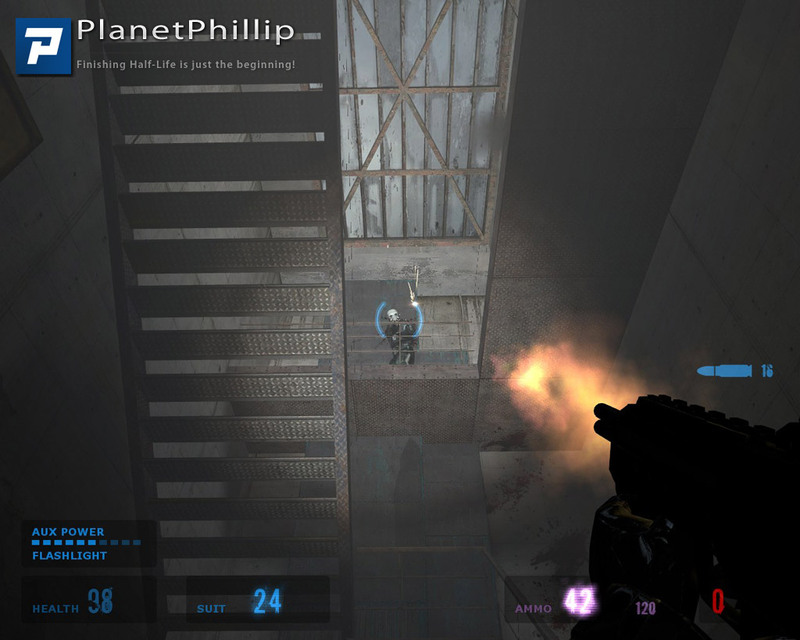 One very bad area was when you have to jump over a railing. 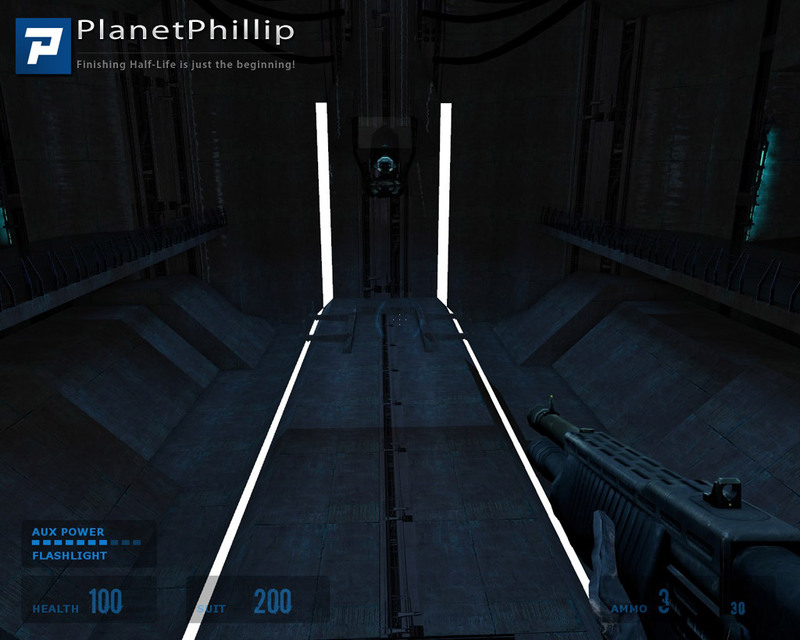 As soon as you land at the bottom, the doors to your right open and you are facing about 8 enemies with a automatic turret. And you just ask yourself where the heck you should take cover. 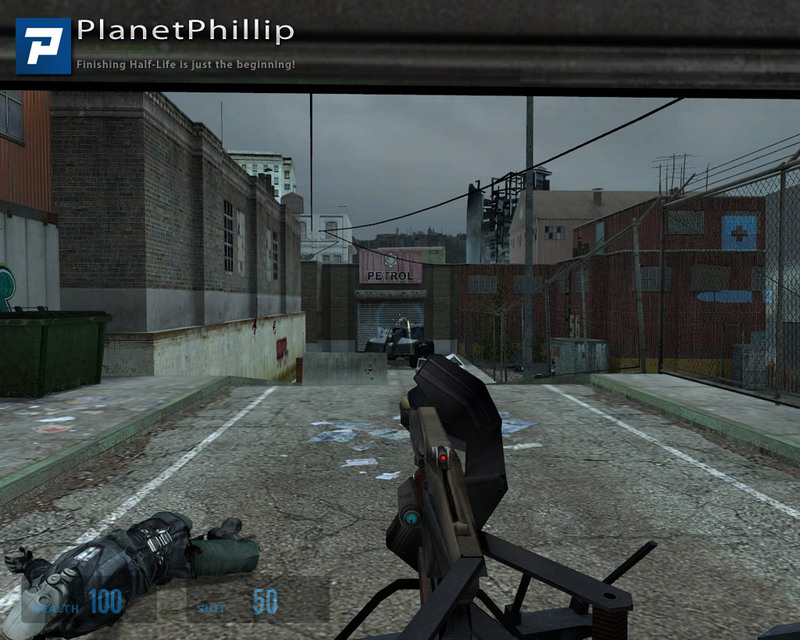 That’s no half life 2 that’s simple brainless shooting. I was also very dissappointed when I found the first boltgun. 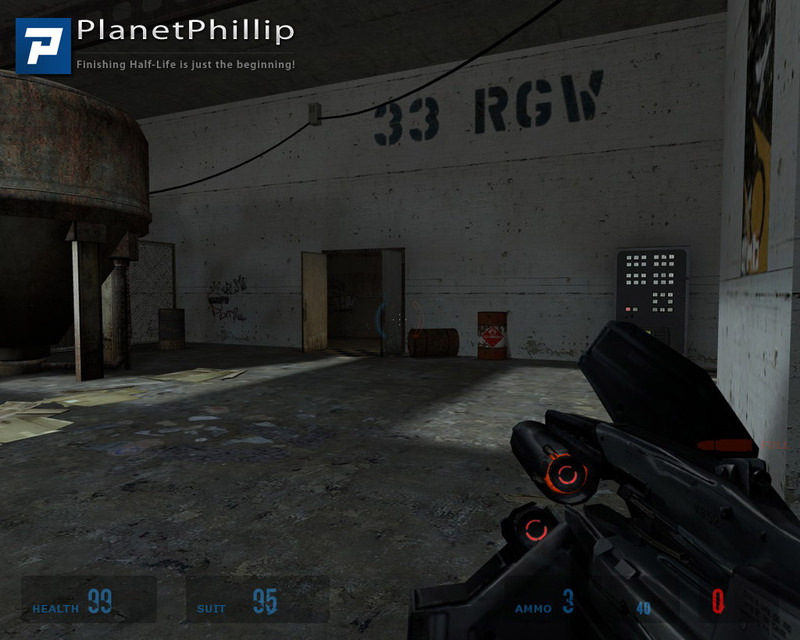 You take it, 20 enemies appear and the ammo is gone again, I hoped that there will now appear a great bolt gun part. The house you enter after beating the strider is very strange designed with classic textures combined with combine technology, it’s quite ridiculous. The final battle was quite okay as the intensity increases with the time, but it’s brainless shoot-get energy-get ammo-shoot…. (again there is no cover), I prefer more intelligent battles especially when it’s a final battle. First off. Thank you Bobby Cardona for bringing us such fine mods. This mod was simply the best I have played. Some bits and pieces reminded me of half-life 1 ( I mean puzzle and environments wise). The lighting, combat sequences and overall layout of the maps were perfect. For all the problems that were slated, none occured on my gametime. Okay, just finished it. Definitely a good one, tho the ending was a tad weak, as stated before, with WAY too many combine elites going after you–and manhacks!–to make it the three minutes before the train went *pop*. The closing piece was nice, but kinda seemed a bit rushed, as if the author was tired of the whole mod by that time. Otherwise, excellent mod overall, despite the niggling little gripes (which I didn’t notice at all). Awesome job, bro. I am also very surprised at the comments and ratings here, and figure they would be lower in “olden days” when lots of maps and mods were coming out, some far superior to this. I was going to rate it higher until what I guess is the ending, with endless spawning white soldiers – I consider that kind of “action” inexcusable and it sometimes appears as a quasi “grand finale’. Like, this is going to impress anyone. And as others have mentioned, multiple situations with ‘surprise” enemies. So I consider the fighting part to be a 5 out of 10.
some of the puzzles should have had subtle clues to suggest a solution. For example I was in one building with 2 rail cars and a leaking pipe on an upper level. The railing at the objective could have been missing in one spot, for example. Anyway, after numerous bouts of swearing at the game while enjoying other parts, I get near the end and quit. Not the PLAN of a good mapper. Really nice mod, background sounds are really good. I liked it a lot. I could use a little help from someone that finished the mod. I am near the end at screen shot 81. I just walked over a glass bridge and the front of it disappears. If I try to turn around and run that side disappears. 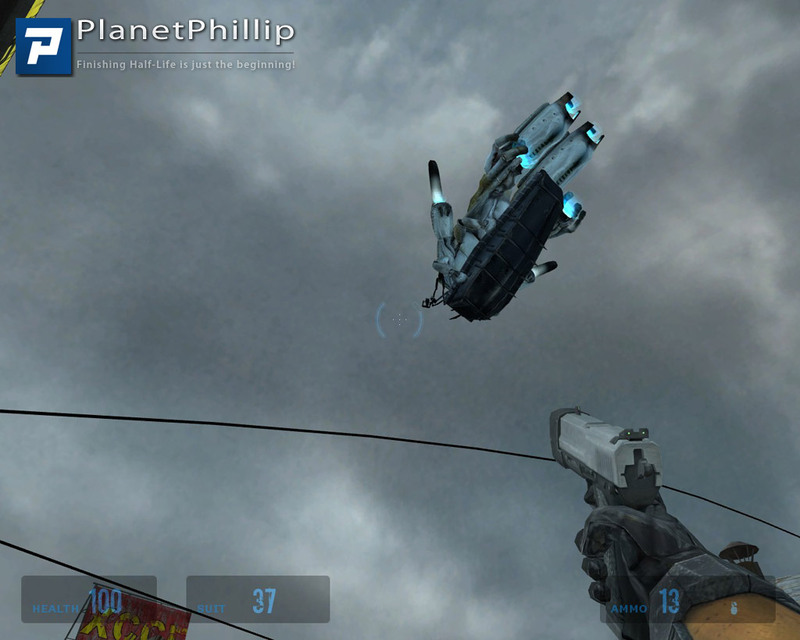 I had to jump off the side and hide behind a wall while trying to kill the white combine troops. I must have killed a 100 already and they keep spawning. How do I get out of this situation? With a jump to the right. I’m off to watch the “Rocky Horror Picture Show”. Again! Stupid me! 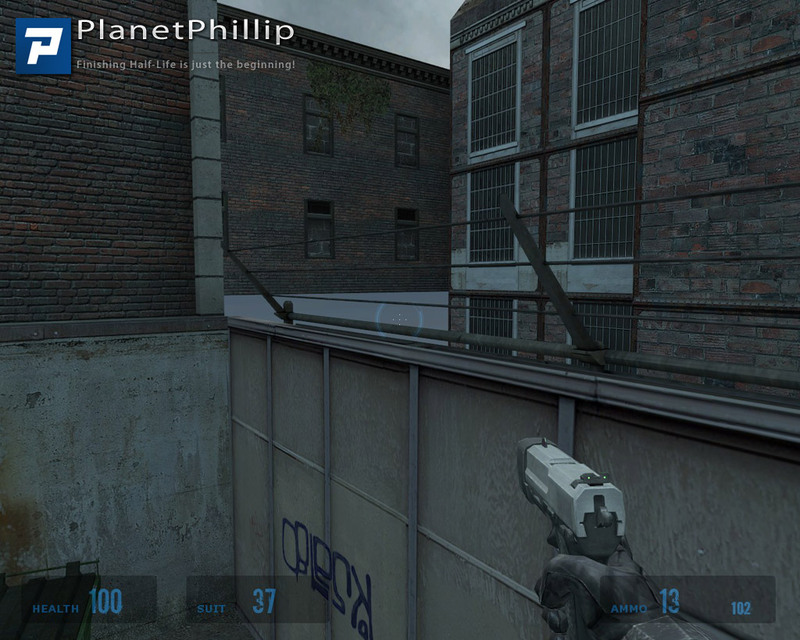 I jumped to the left and have been killing combine for hrs. The right side didn’t look any different from the left. Thanks for the quick help Jasper! gmosher, when does the combines attack end? They just keep coming. The shield is still up. What to do? This mod is one the best I’ve played so far. I’m having a problem finishing it though. 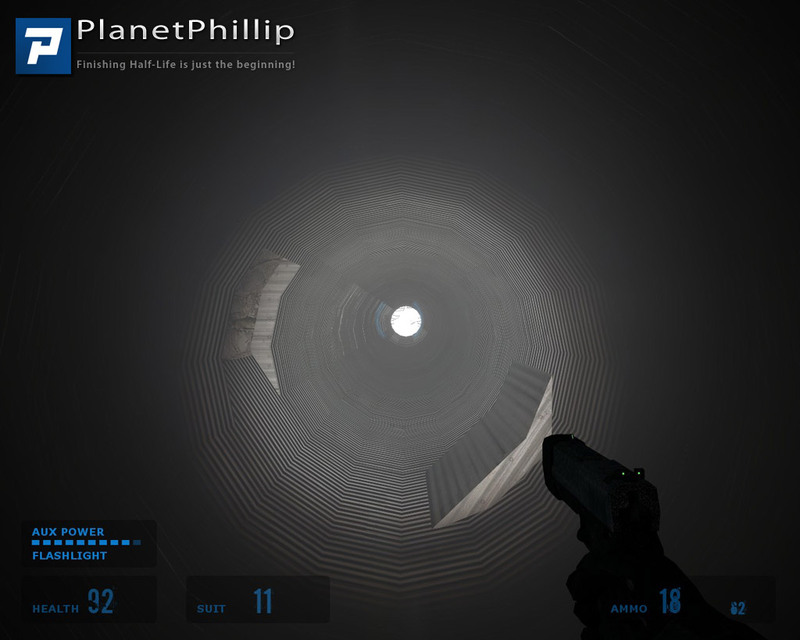 I’m at screen shot 78 where you have to run down this light path that disappears as you getting to the end of it. I can’t make the jump to the ledge at the end. Is there an alternate way to get to the ledge? Also, it seems that the shields where combines come from don’t go down. I just need help with this section of the map. Is there a walkthrough? See my reply to gmosher just above. I think that will solve the problem. 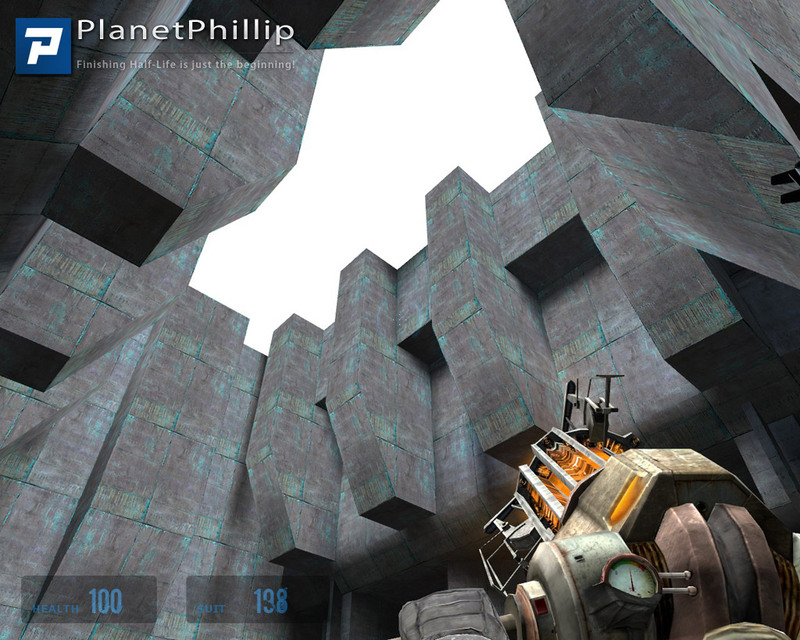 Jasper, you referred me to gmosher for a solution to a problem I had with this map. 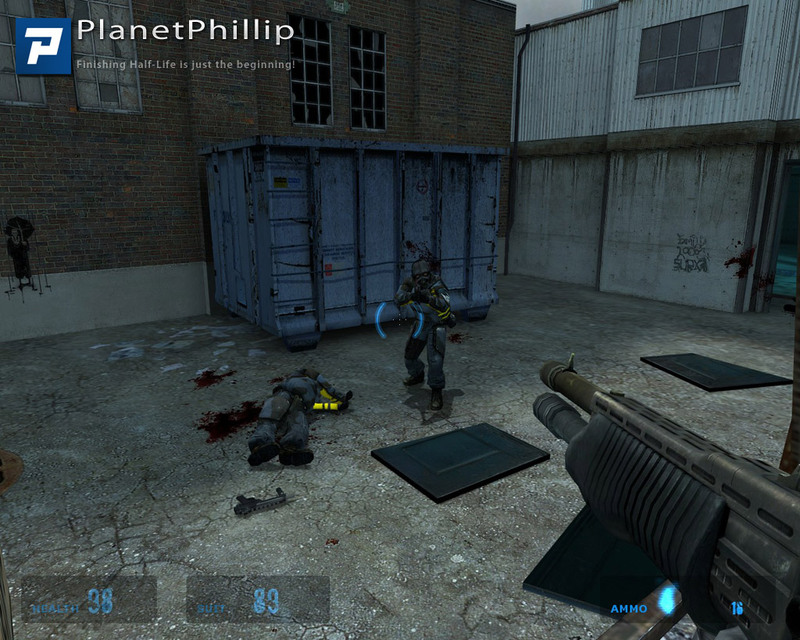 Ok, the new thing is that the Combines don’t stop attacking (See screen 81) and I can’t advance. Does the attack ever end? I’m a bit confused with the screenshot Filthy McNasty. 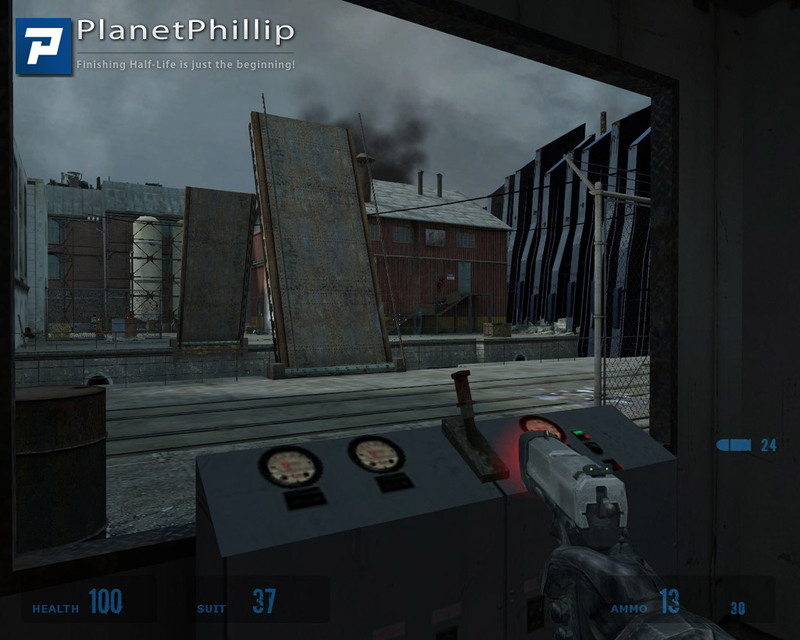 I think it shows what happens if you jump to the left – you get to fight the combine endlessly. The jump is to the right halfway way along the breaking glass bridge. i loved it. but, yes their is a but. the mod was great all the way though, I got over the radio problem by turning sideways, kept my ear near it and you could hear it. a minor beef. but, the final battle, was stupid. re spawning combine elites endlessly. very rarely do I use cheats but on this one I did. others say the final screen was cool so I loaded god mode and kept a body count. spoiler 70 combine elites, untold manhacks. plenty of ammo though. hehe. I’ve played it months ago, it was really well-done, nothing transcendant but at least there is a clear objective, various fights and locations, a well-done climax. Just replayed this one and IMO its a really great mod. 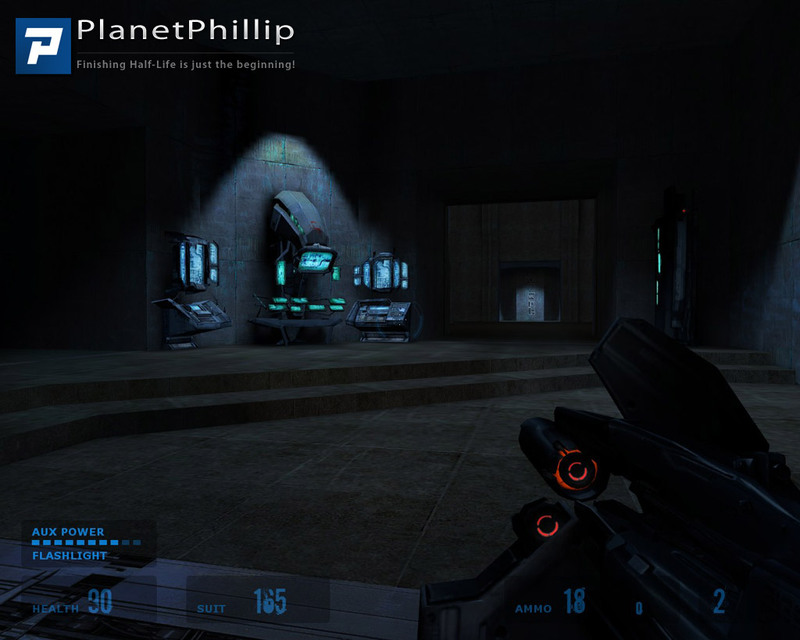 It has something for all players I believe, some puzzles, combat, mix of enemies, snipers, striders, dropships and a variety of both indoor and outdoor areas. nothing was overwhelming and there is a clear objective. 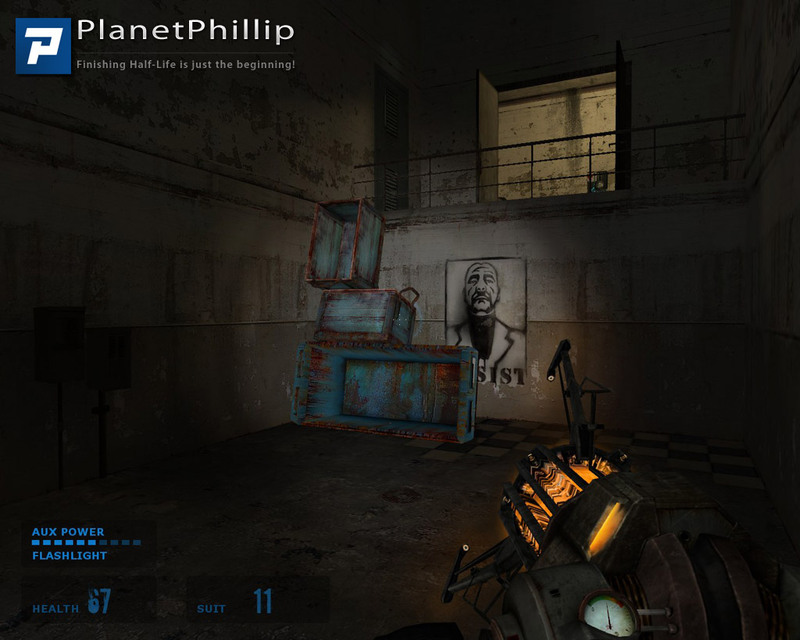 I really liked the hints spray painted in different areas to let you know your progressing as you should. does it have a few flaws/glitches along the way,sure, but nothing that really takes away from the flow of the gameplay. Some areas I did feel you came under attack too soon but it just kept me on my toes throughout expecting a battle at any turn. well done and very enjoyable to play for a number of hours. I think CrowbarSka and dougjp kind of sum it up for me. Like CrowbarSka, I got pretty bad battle fatigue about midway through the mod. It never lets up. At first, the pacing is quite good and fast-paced. The enemies did a great job of leading you forward, often approaching from where you needed to go or unblocking the exit so you could advance. 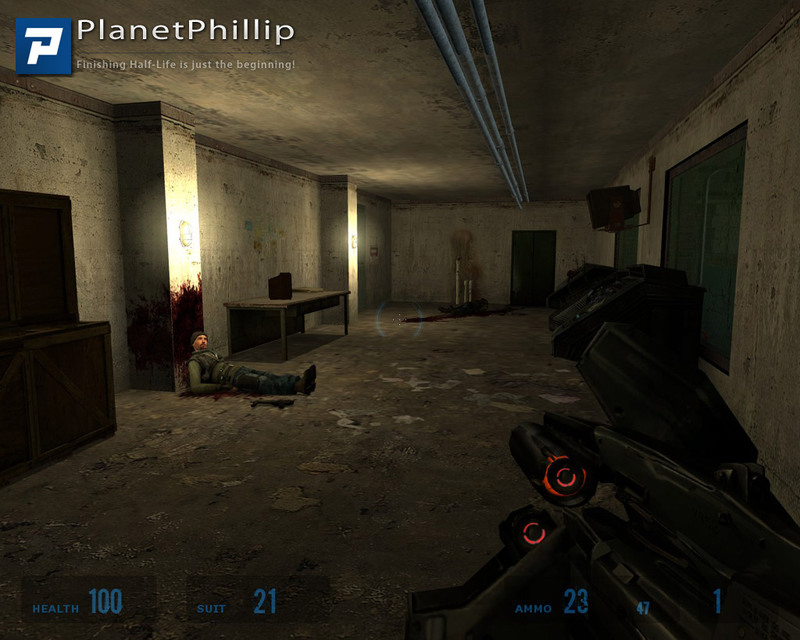 As the mod progresses, the encounter design deteriorates into scenarios that pit you against small but very powerful waves of enemies that ambush you with no cover provided. When the ambush starts, where am I supposed to go? What am I supposed to do? Like SolidFake, I kept asking those questions. It reminded me a lot of the Strider Mountain school of encounter design. Some folks really love that stuff, and if you’re one of them you’ll probably enjoy this mod way more than I did, bottom line. I felt the mod was pretty stingy with health too. 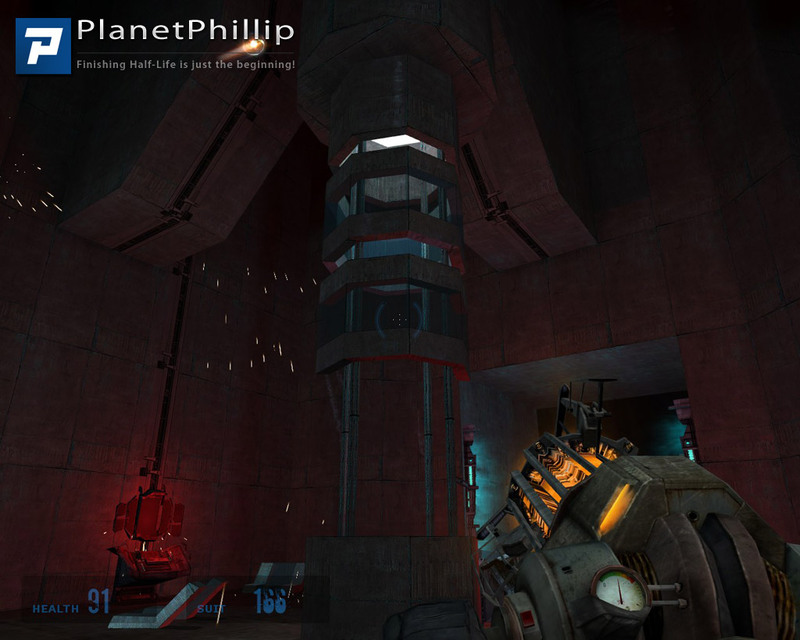 The level design offered plenty of nooks and crannies to place item crates, but exploration was generally fruitless. 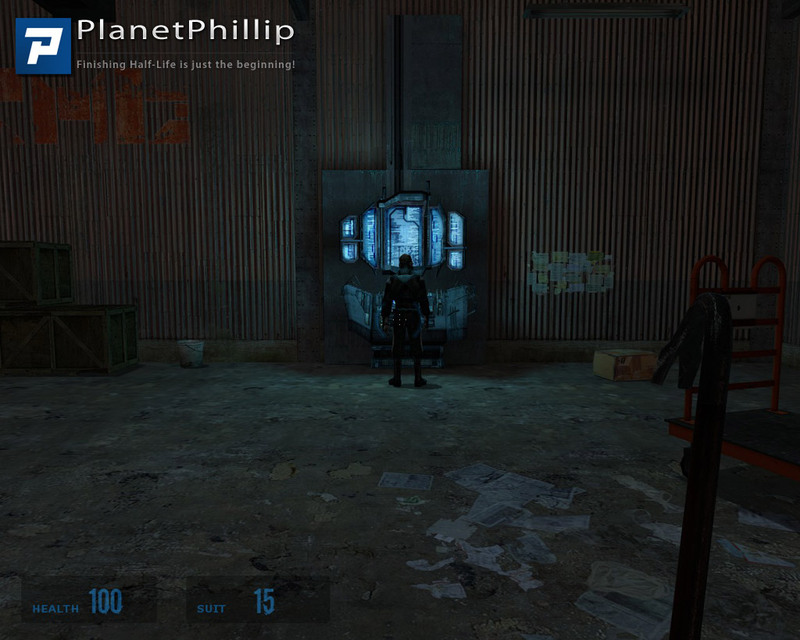 The mod relies too much on the charging stations, so being able to explore for additional health and batteries in between them felt like a lost opportunity that would have helped break up the seemingly endless combat. The thing is, up until the Combine building at the end, the mod is difficult but still fun. There’s one section with multiple snipers that felt completely unfair, since you don’t even see the other snipers coming, but it’s not the end of the world. Any bad part was counterbalanced by some good stuff. 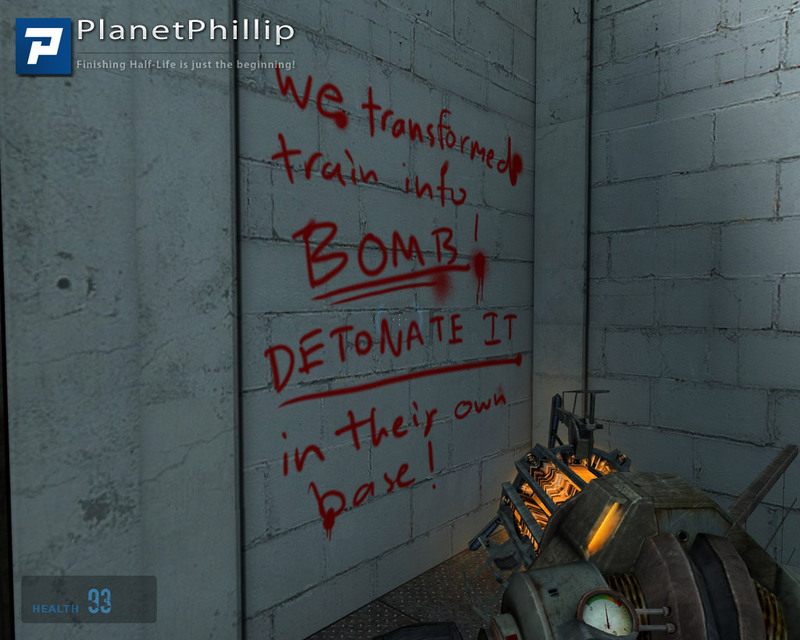 I liked the graffiti on the walls that kept dropping hints about what was going on. I liked the radio messages, at least in principle (they are far too long). 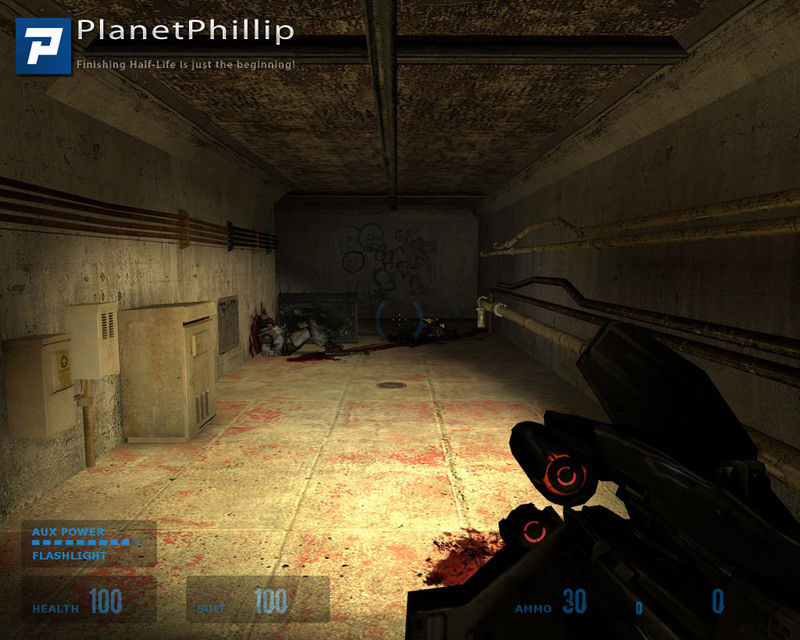 It had some fun gameplay ideas (enemies shooting exploding barrels among the better ones). I’d even like the ending, all told. It’s clever. But eventually, you get to the Combine building at the end, and that’s where this whole train goes careening right off the rails and into the ditch. I could go on about the absurd numbers of Elite Soldiers, or the cheap vanishing floor, but I think the spinning turbine that Phillip mentioned is especially worth noting. I hated this thing with a passion, mostly because even if you were to skip a rung on what’s fundamentally a rotating ladder, I’m pretty sure Freeman wouldn’t actually die. It appeared to be well within the survivable fall distance. Maybe I’d expect to take a little damage, but no. Here, you skip a rung, you die. Simple as that. You kind of have to play this part to understand what I’m talking about. Even with that, I was going to give the mod the benefit of the doubt. Like I said, the good still outweighed the bad. But then you get to this last encounter. And it’s a doozy. 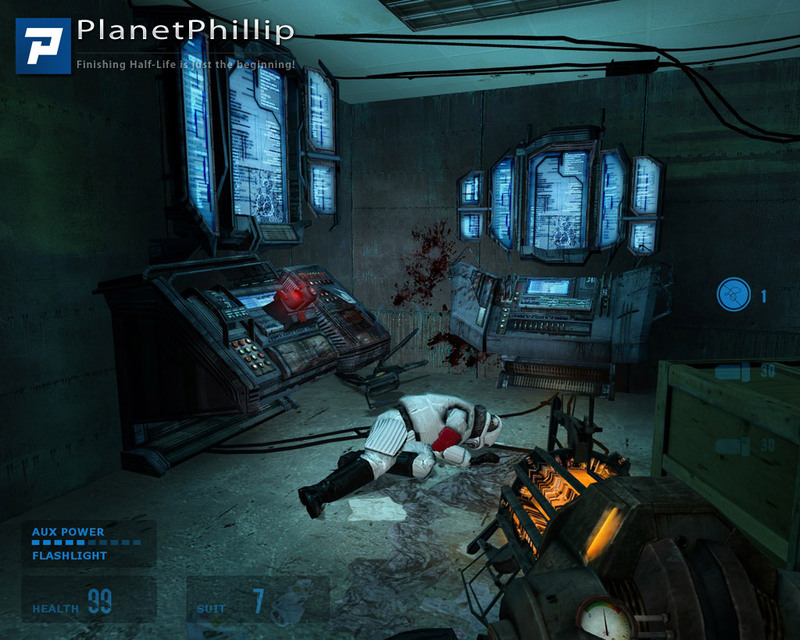 Outlast infinite waves of Combine Elite, which respawn as quickly as you can kill them, for three minutes. Mind you, as this is going on, the thing in the middle of the arena is going nuclear and causing the screen to shake like crazy. That’s not fun and it only served to remind me of the mod’s less-than-stellar moments. So, all told, the most I can give this is a PIL. It’s decent, but it does have a fair bit of frustrating or downright unfair moments. Like I said though, if you are a fan of the ambush-intensive in-your-face encounters in Strider Mountain, you will probably like this mod more than I did. 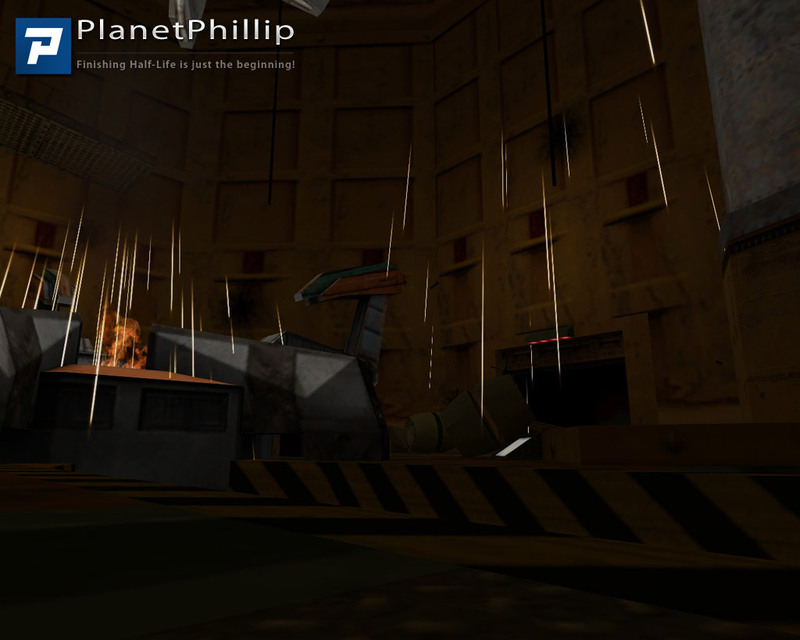 I had forgotten about “Calamity”, but thanks to Phillip’s new “Single Player Hall of Fame” site I gave it a go. I followed Andyb’s recommendation and changed the config file. This fixed the key binding issue on the whole but I kept loosing “left”. Most peculiar! 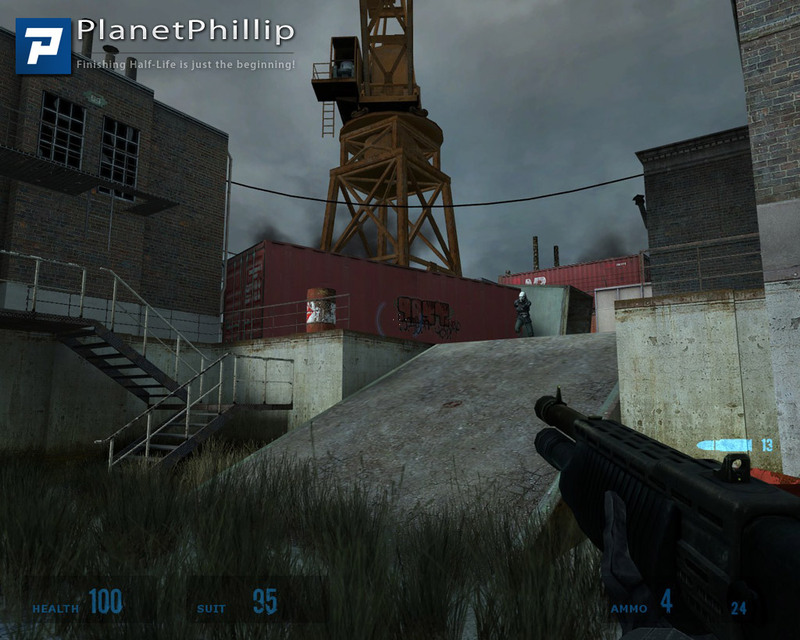 Graphically beautiful mod, especially the glass-roofed warehouses and nicely lit to. The early pacing of the game was just right with some nice puzzles and the exploring was fun to, but the combat seemed a tad too heavy. 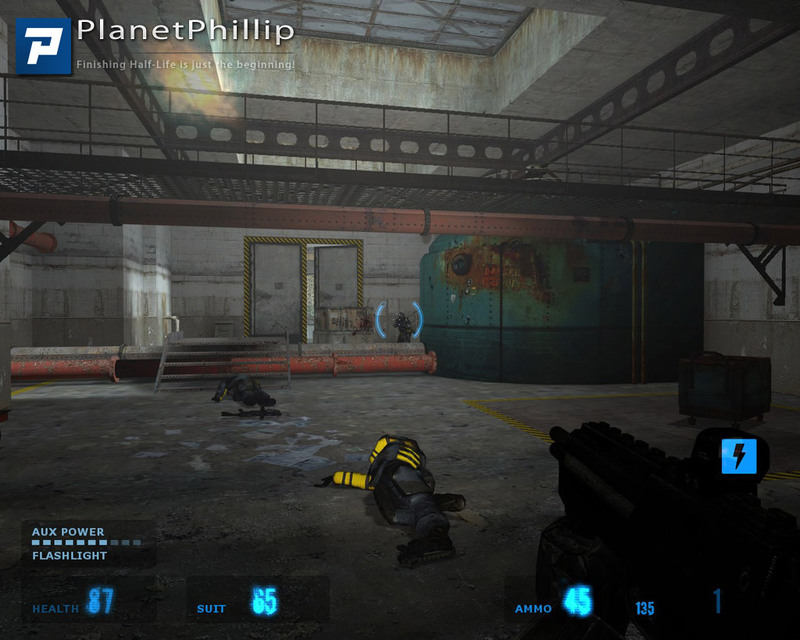 Health was sparse even though the weapons and ammo were not. The radio played fine on my 5.1 system, turned up of course and was great at adding some more background to the story. The broken multi-storey car park was entertaining with a difficult grenade lobbing challenge followed by some jumping practice. Graffiti and posters everywhere with some of it telling you what to do was a nice touch. I usually play on “Easy” mode so I can have a good look around to appreciate the work while I’m playing, but here I was forced to ” god” mode twice due to low health before heavy combat. 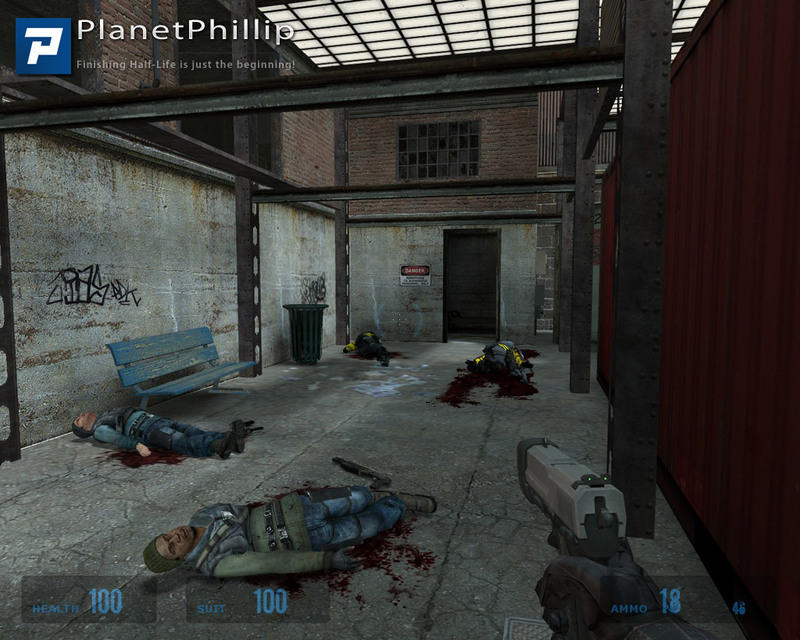 Alas I needed it again to get past those snipers on the railway section before the tube, they killed me every time! I only just scraped through the ” lifts” section before I was in the dark on a clear lift going down. The combat in this whole section was far too harsh with little on no cover against heavy armed combine and elite troops. I got to the lift in almost one piece to be hammered by an elite swarm! At least on my third death I jumped to the right place. 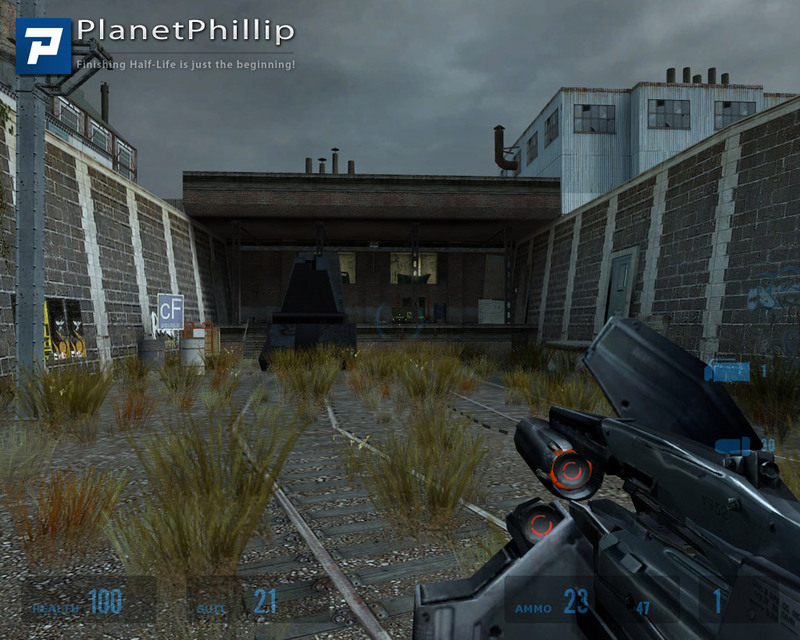 I pressed the button and the train slowly moved off as an division of heavy elite troops and others attacked me. I was dead before I could see where they were all coming from, many times dead! I had to ” god” mode to survive to see the end of this story. Maybe I missed a hiding spot. Loved the end, especially where you finally wake up. An interesting little story piece, beautifully crafted but the combat did stray into the ” insane” level of difficulty at times. That strider was way too tough with the rocket ammo almost underneath it! Fyi, the link to the download is broken. I really enjoyed this mod. It was great and varied and really made me think in some places. There was at times a bit of a lack in terms of directions and I found the last battle to be abit tough. I understand that the author wanted to make an epic end to the mod, but the amount of enemies was just ridiculous considering there was no good cover spot. I had to godmode through it just to see the end. A pity, because for the most part it was a great mod. The sound effects were samey throughout. The constant thud of explosions far away, like a grade B war movie. Real ambience was lacking. Despite the ocasional tight feel, the mapping was otherwise pretty solid. Lot’s of deadend routes to explore, and dare I say even a few secret places! The battles seemed very well balenced here as well. 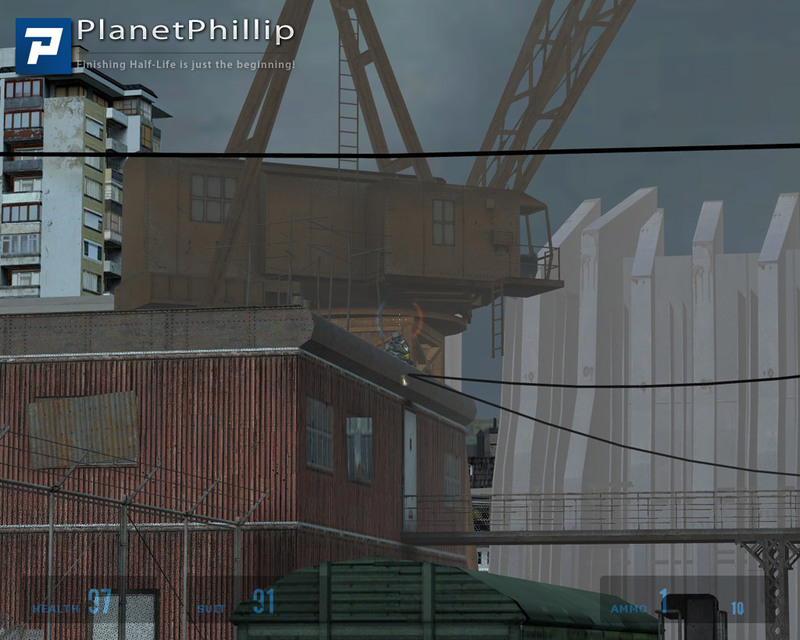 The construction of the maps looked very good, being almost entirley warehouse/industrial oriented. The author changed up the enviroments a lot by giving us several sub-enviroments, so the romp didnt feel stale. 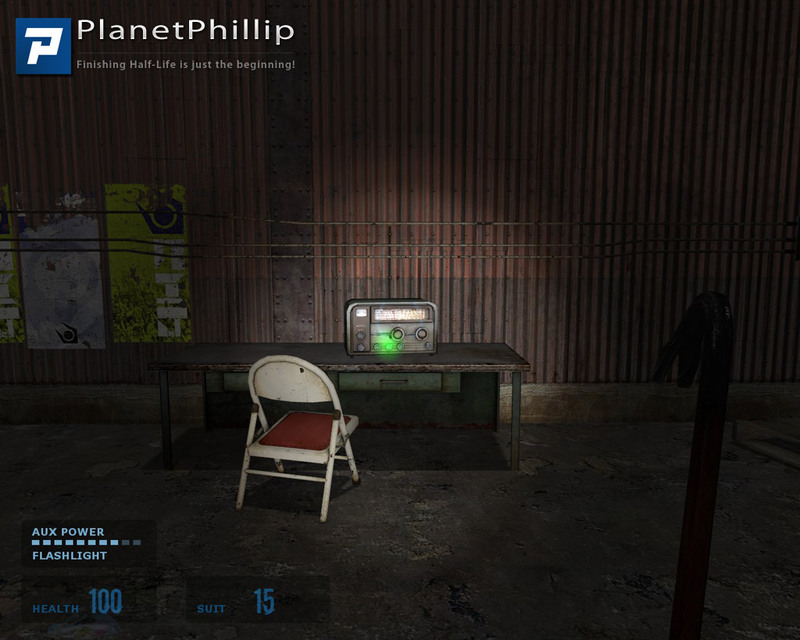 The author also tried to tell the story as the player moves through, by way of stratigicaly placed radios. So all in all, not a total loss. Is it worth playing? Yeah sure, espicially if your into hard puzzels, but not my cup of tea. 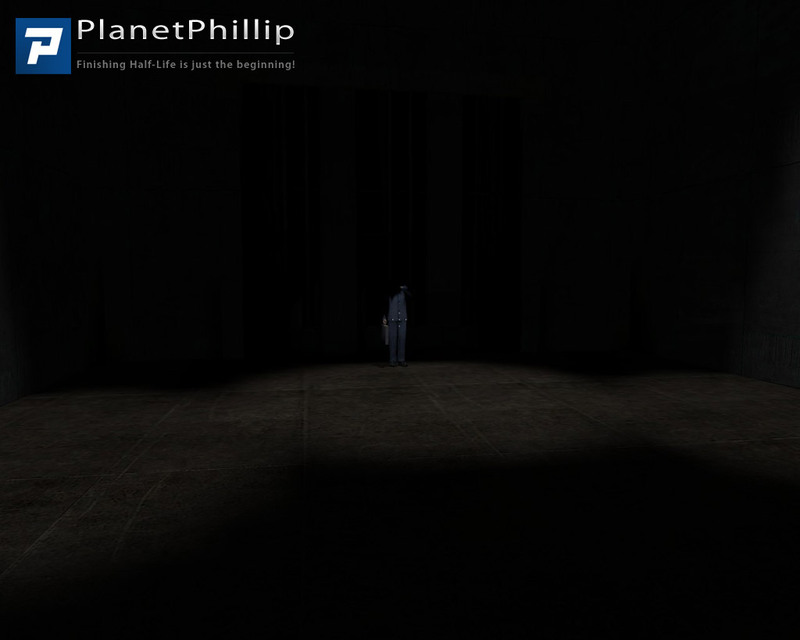 I joined planetphillip just to give this mod props. I’ve played the 6 or 7 top rated mods here and this is by far the best. It’s longer, it’s well done (found one spot where I could see through a wall) it’s got big maps and the action is great. 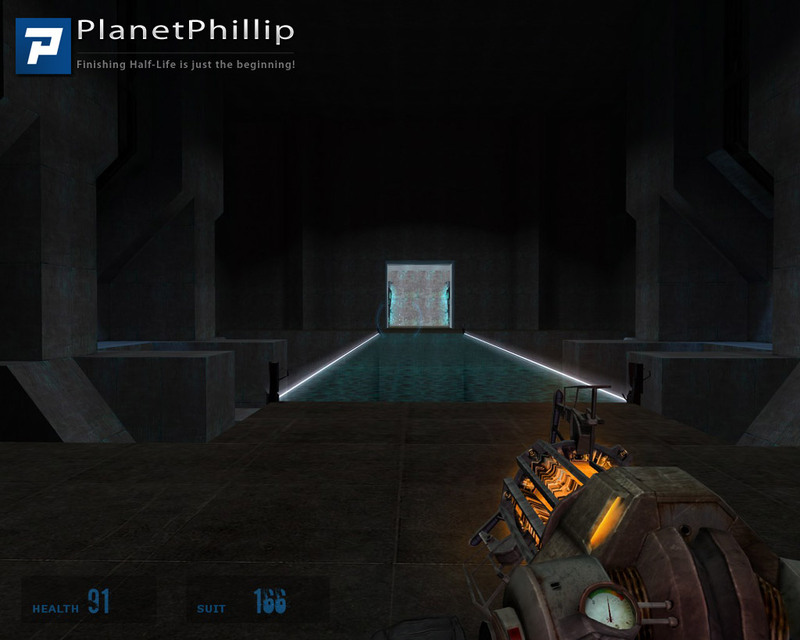 There are a few spots where I die repeatedly but it’s somehow not nearly as frustrating as it is in Half-life. Here I just keep re-spawning, wanting to beat it and feeling like I can do it with a different weapon or from a different position. Definitely “run and gun”. I’m gonna check out the other mods by this author, I hope they are this good. For me, the best aspect of this mod was the combat. It was extremely well paced and staged. At times it was extremely intense, and most times it was pretty god damned exhilarating. The final battle was pretty massive, and my one piece of advise would be to keep moving; constantly run and circle strafe those Combine bastards. The settings, the mapping, are all very well done. At times very atmospheric, and others quite compelling or beautiful. It’s clear that the author has a good sense of space, and knows how to use it to construct engaging environments. I’m a big fan of story centered games, and I appreciate this mod’s attempts at constructing a decent narrative. 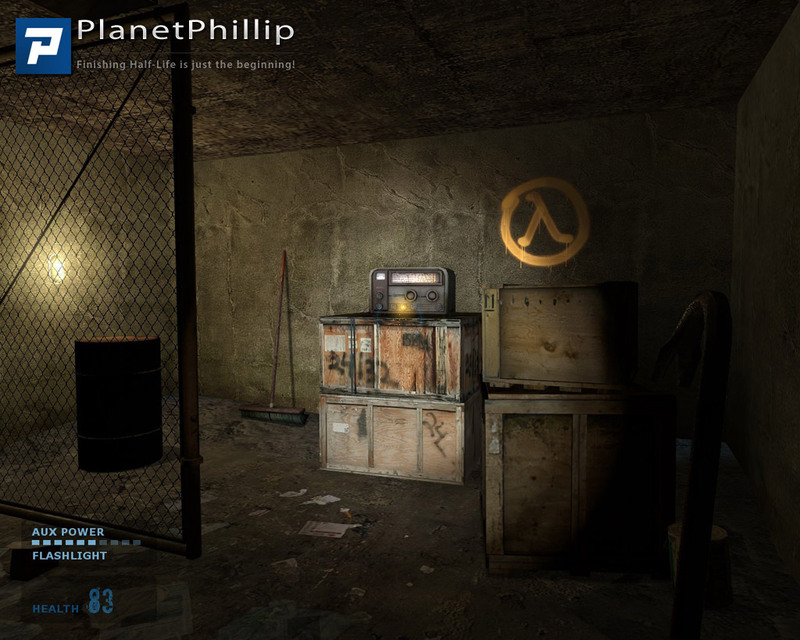 There are some well done cinematics, and there are moments that open up some pretty interesting concepts, like some of the history behind the Half-Life universe. But unfortunately the story never really takes shape, and the ending seems more non sequitur than it does ambiguous. But I can see what the author was trying to do. And I will admit, there have only been a very small number of games that I think have successfully conveyed a meaningful and immersive story. And furthermore, I admit that for most people, the real attraction of a game is its gameplay. And this one succeeds very well at that. Great mod. The scenario with the three snipers was challenging. 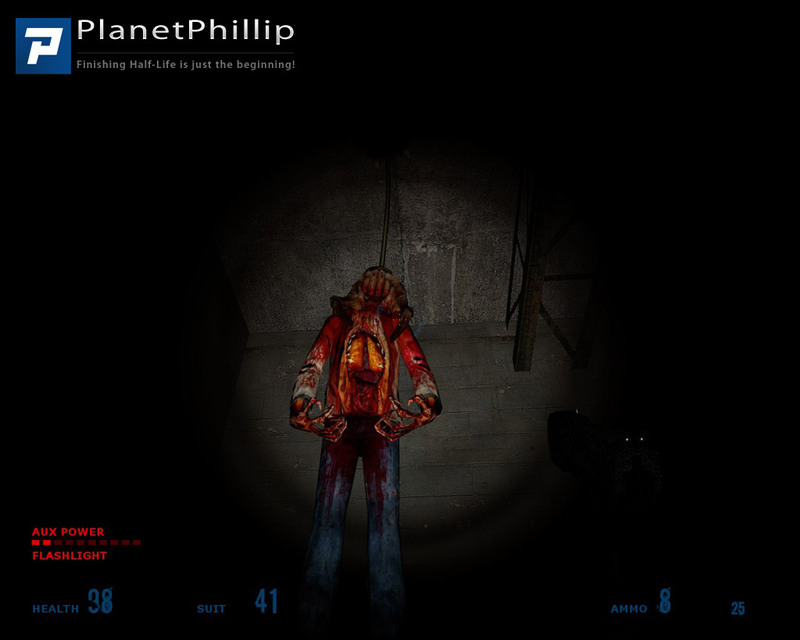 Excellent combat and very few zombies. I confess the final battle was too much for me; just too many of them. 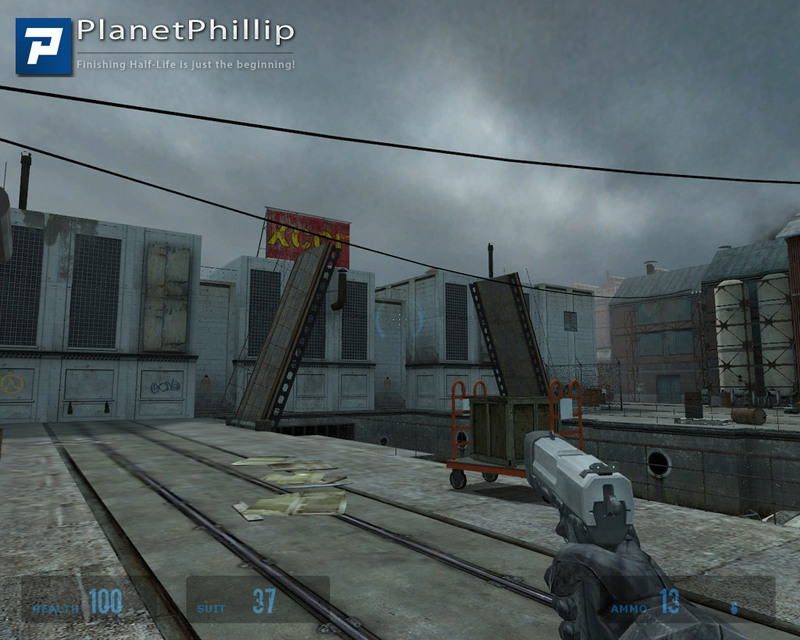 i actually played this around two and a half years ago but never got round to reviewing it,however “HL2 calamity ” is a masterpeice in hl2 modding .. 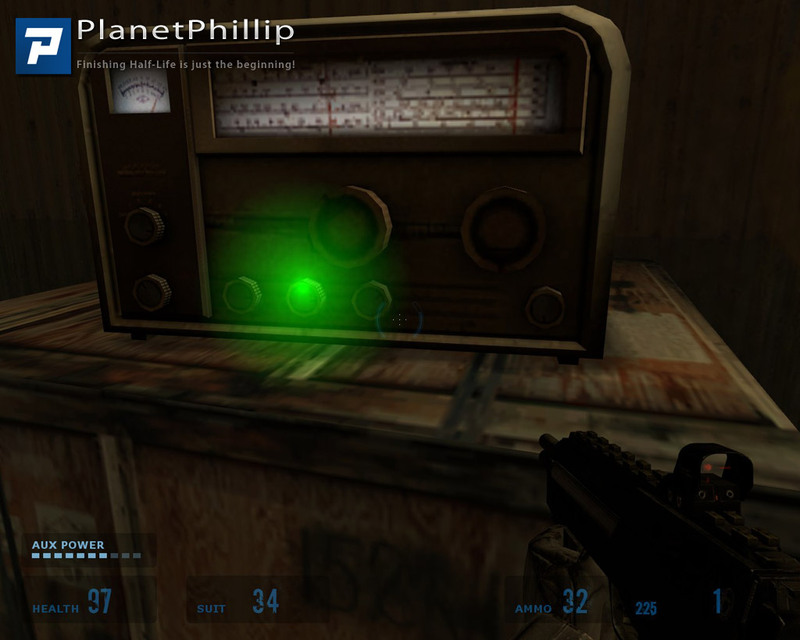 I especially like the inclusion of radio,s throughout the game which give a sort of story about the game…. AMAZING PEICE OF WORK .. PERIOD ! WOW this mod is good. 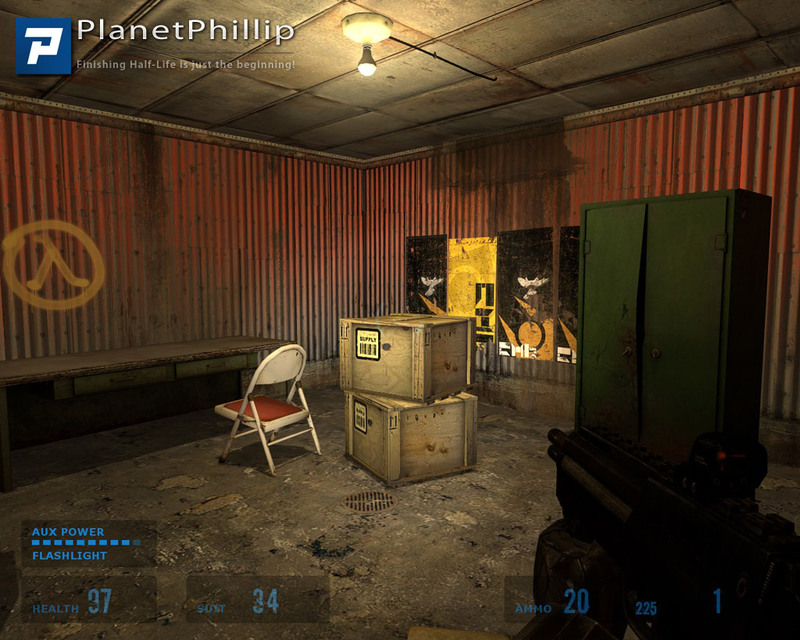 Definitely one of the best non-episode HL2 mods I’ve played. Almost everything about it is perfect. The environment is REALLY cool. It’s a perfect mix of open air and inside. 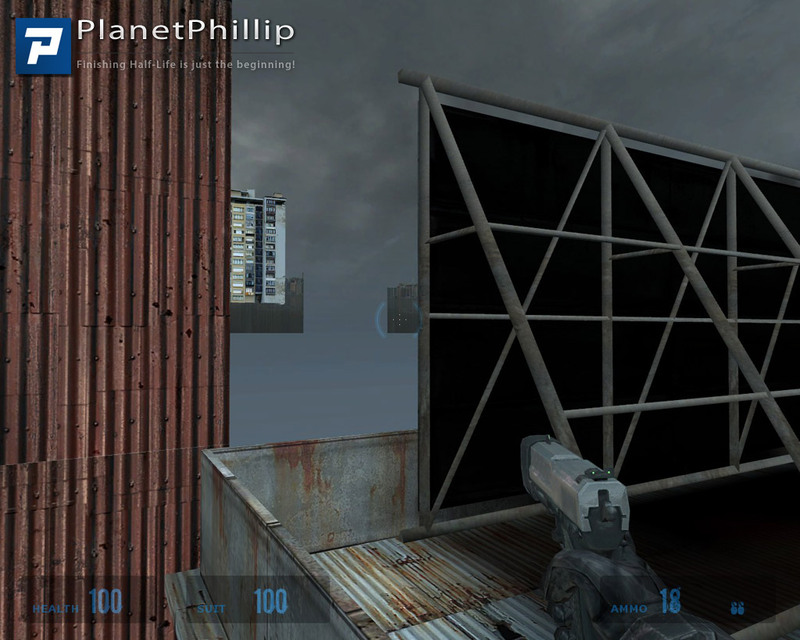 The skyboxes are really cool, forgot if they’re from HL2 or are custom but they really fit. 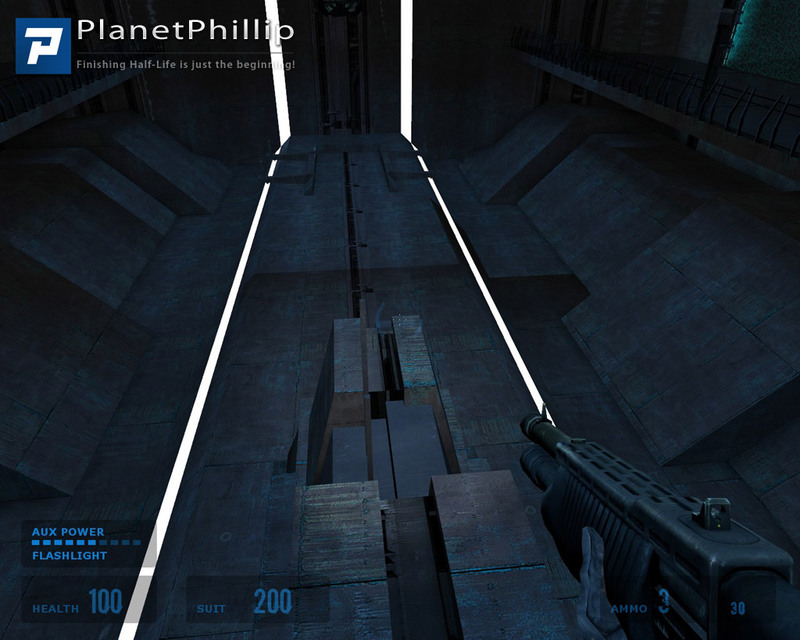 The level design is amazing as well. There are puzzles and combat both and they’re mixed flawlessly. The Combine enemies have pretty cool reskins. At times it can be pretty atmospheric too. There are zombies but not as many zombies as there are Combine. It’s also really good on supplies, only giving you stuff when you need it. I’ve played some mods that don’t give you enough stuff and some mods that give you too much stuff, but this one is balanced perfectly. The custom music by Paragon9X and Nub is awesome as well. The only problem I can find is the realism. It’s really not realistic, not because the detailing is bad, the detailing is fine. It’s just that every two steps I take I find another door I can’t open. 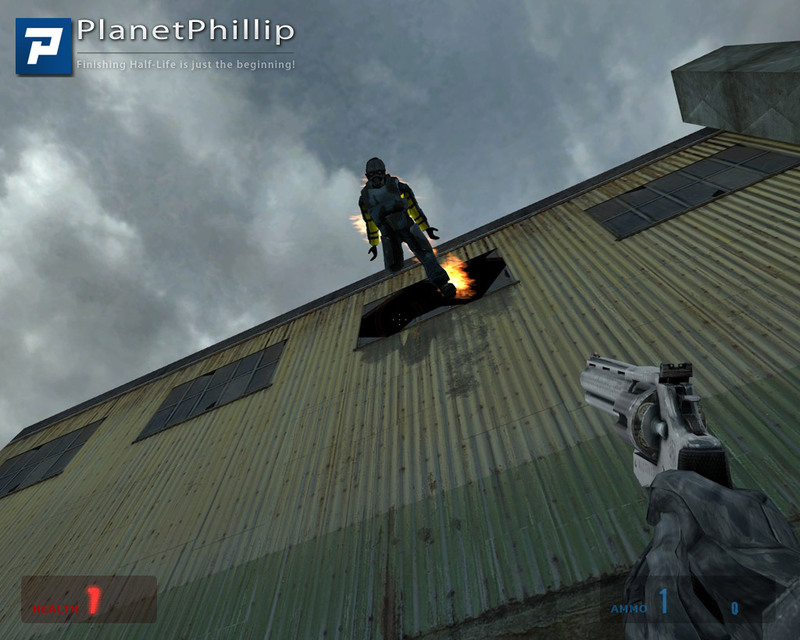 There’s a minor complaint that the manhacks in one part come out of an airvent and I thought I could climb in since many secrets take place in airvents like it but I couldn’t but as I said it’s not a big deal. 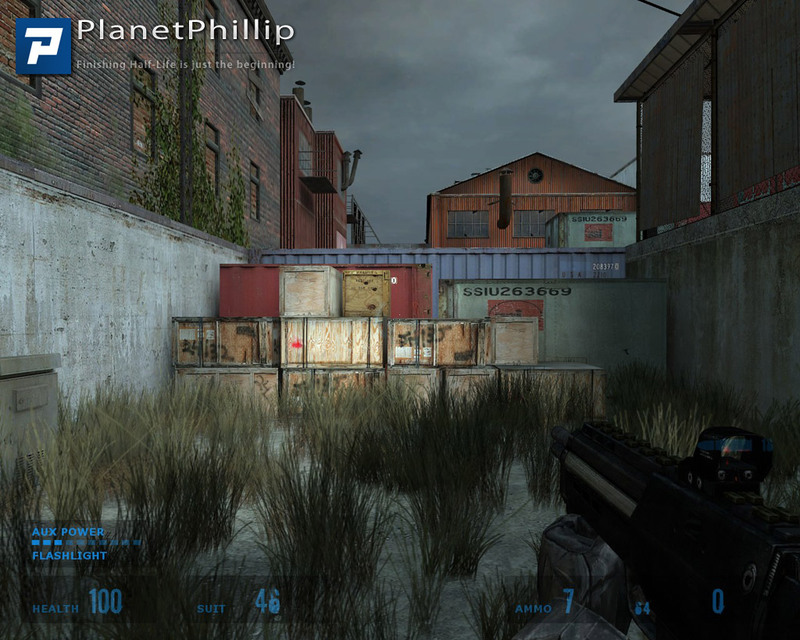 The transition from the regular environment to the Citadel environment is flawless. I almost didn’t notice it! It really does seem like two real places connecting. 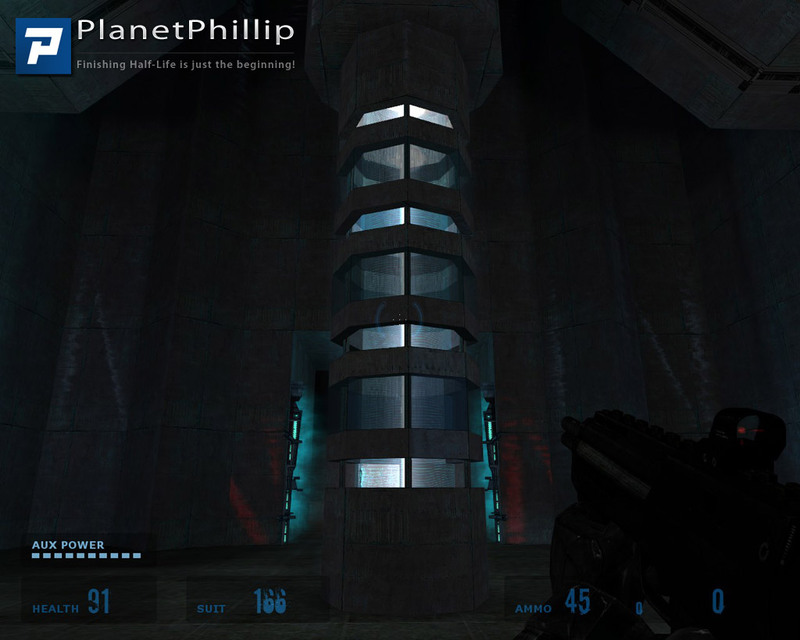 This is definitely the best Citadel level I’ve played in mods. 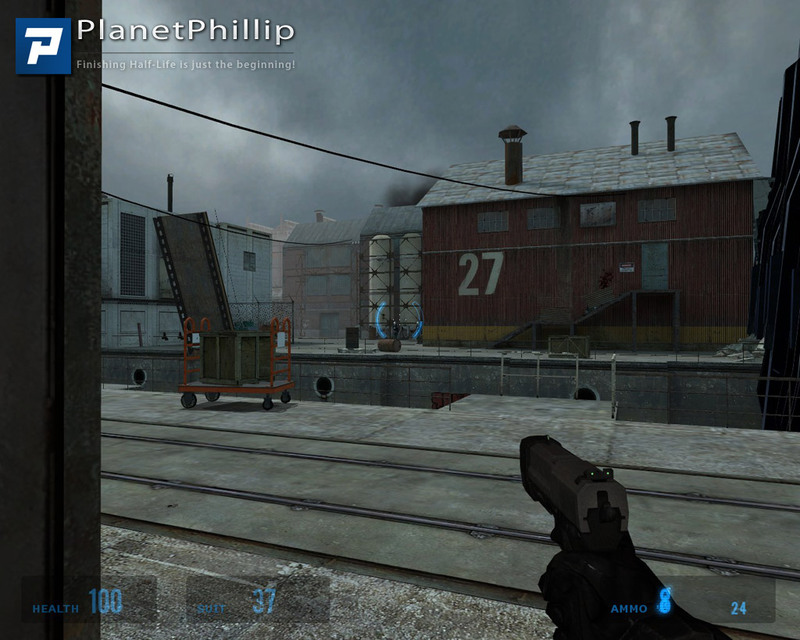 It doesn’t beat the one from the original HL2 or Episode One but it’s certainly (CERTAINLY) better than the one from Penetration. There’s many cool puzzles in it like a tower of turning platforms you have to descend by falling through holes to the next one (kind of like those weird Pac-Man platforms from the final level of Jak and Daxter). The final battle ridiculously awesome. You have to fight a legion of Elites and manhacks while the Citadel is exploding. I criticized the final level of Penetration for having too many elites and way too little supplies. This has the same amount of Elites but you actually get the supplies deal with it. The fight starts off manageable but as time goes on it turns into absolute Calamity. If you haven’t played this mod you shouldn’t be reading this you should be playing it. NOW GO~! All fine until I reached a point a short way into the game where very loud music began pumping into my headphones uninvited, despite having turned the Music control right down to 0. I don’t like music when I’m playing, and I don’t like this loud fast stuff particularly. I’ve edited every item in the config file that might do something to kill this, but nothing works. Anyone know how to stop this row? I’ve had to stop playing the game, but it’s otherwise good, so I would like to continue. Thanks. I would look at the /sound folder within the Calamity mod folder and remove or rename any .wav or .mp3 entries that are very large or have filenames that seem like music. 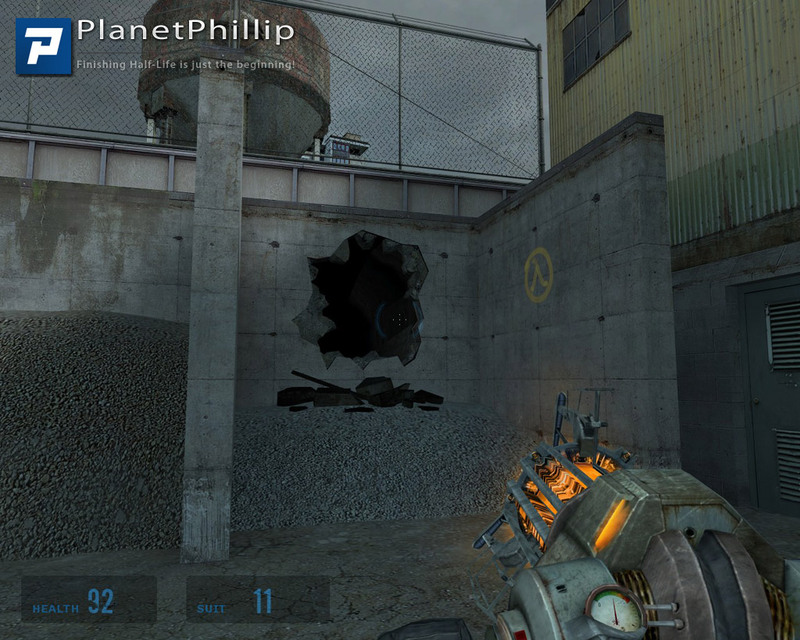 I’d also delete the sound.cache file in there (HL2 will remake it the next time you relaunch the game). A lot of mods don’t implement music properly. Because the same entity that plays music is also responsible for playing sound effects, you have to specifically call out which sound files are “music” in a text file. A lot of mods don’t do this, so the game interprets the music as a sound effect, which is why adjusting the music volume is ineffective. Similarly, when mods use existing music, they often link directly to the .mp3/.wav file (wrong) instead of the text file (right). Cheers for that. I’ll examine the file again. Appreciated. Brilliant, you genius. Found it. Just a lone .mp3 file. Didn’t delete it in case that threw up an error, so deleted the wave content using Audacity, saved it and left it where it was. Music gone, no probs. Silent happiness. After applying the fix and set all files to lowercase it runs without problems under linux. Really like this mod. 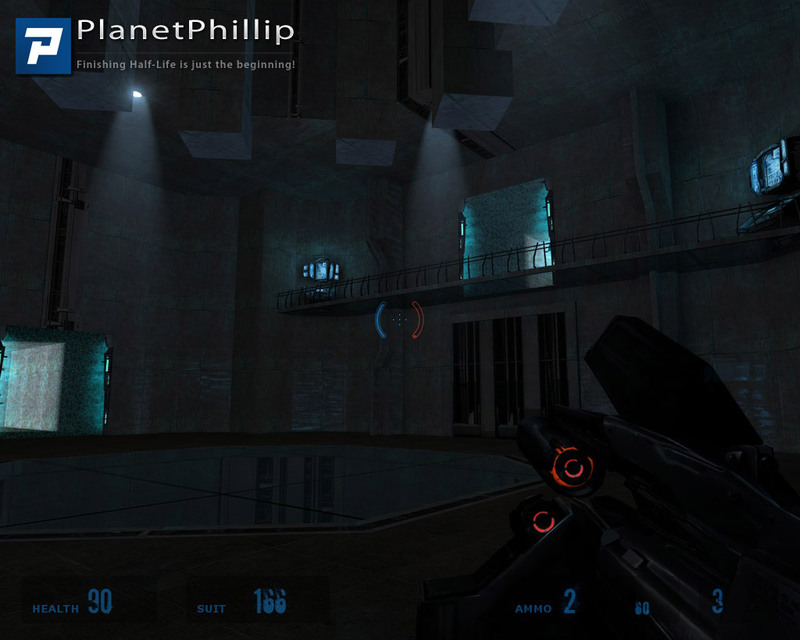 Good gameplay and level design. 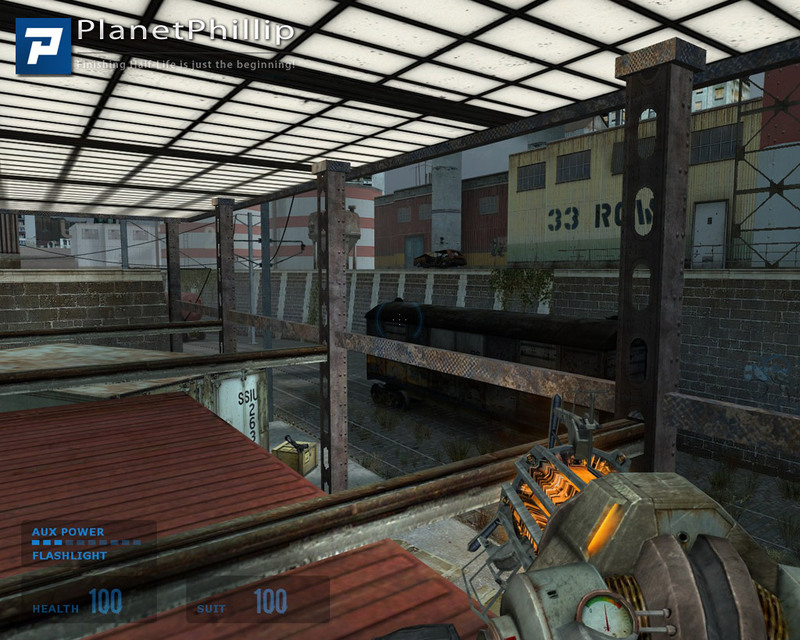 I personally love the run-down city and industrial area aspects of HL2, and more than half of this mod includes scenes of that. I had a lot of fun playing this mod. 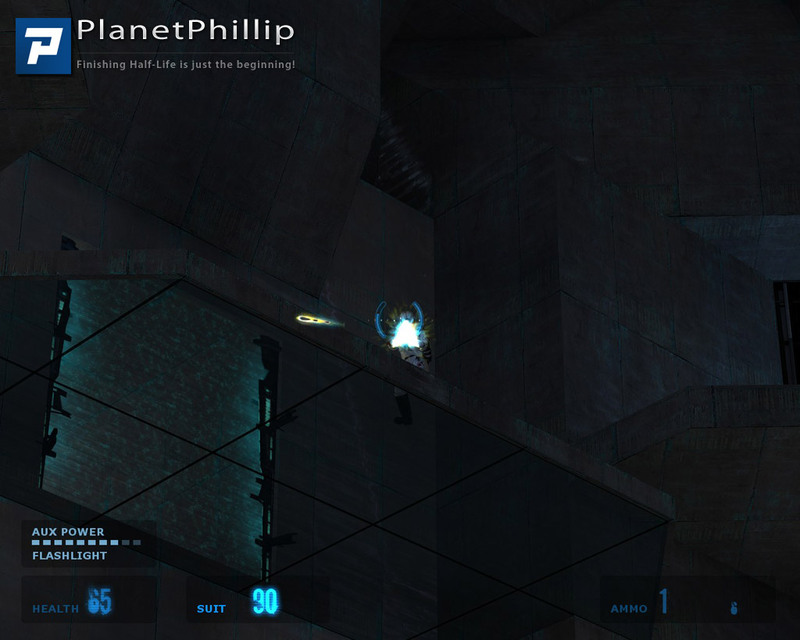 It include a few hard puzzles and all the sniper sections are welcome challenges. 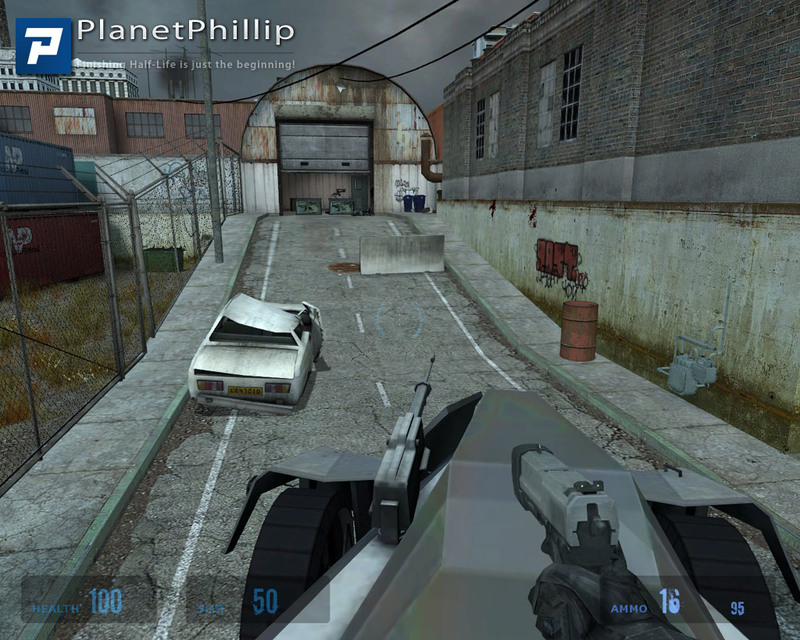 It could have been aided by a vehicle segment to break up the slow-paced game play. But on the hull this was a “long” and enjoyable experience. I thought the start of this was done really well, leaving you to initially feel vulnerable. I didn’t really care for the radio messages but the explorational element was excellent and I really enjoyed the environments created. The final stage was the weakest for me but everything leading up to here was top notch and very entertaining. I also thought the action was well balanced too, ignoring that insane final battle!!! I must say this was done well but perhaps a little too much for my skills once the manhacks started coming. Oh and the part with the snipers was superb. 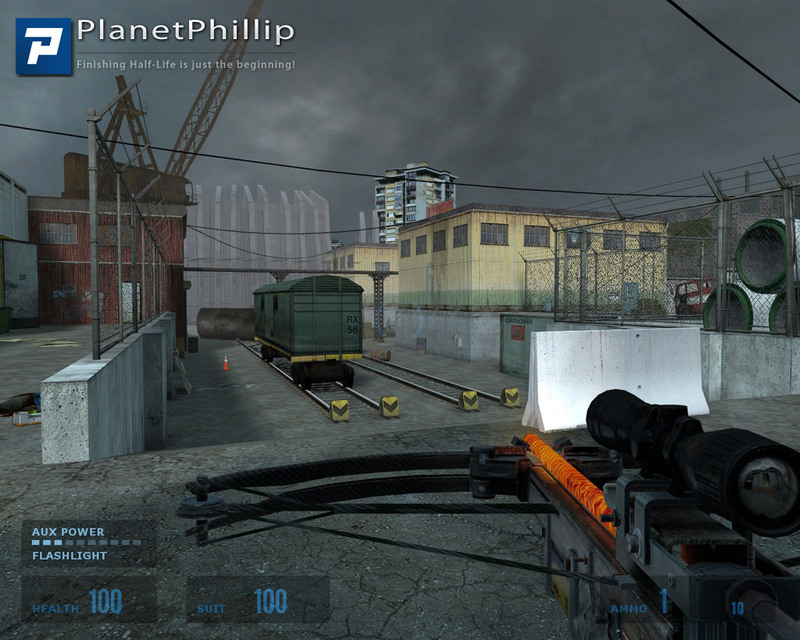 And the use of the crossbow in certain areas was brilliantly done, I wish more mappers would implement better usage of this weapon. Overall, this is a belting mod and once I really enjoyed!